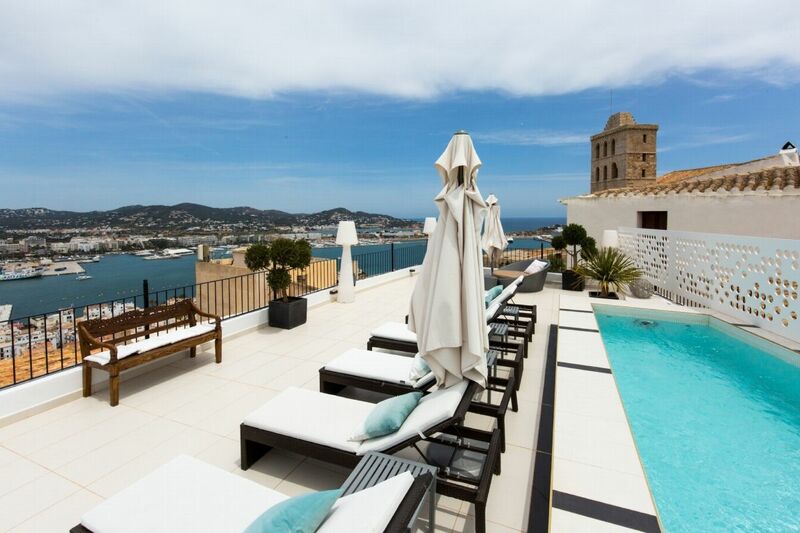 Classic reformed villa located in the heart of UNESCO World Heritage Site - Ibiza Old Town with stunning ocean and county views. 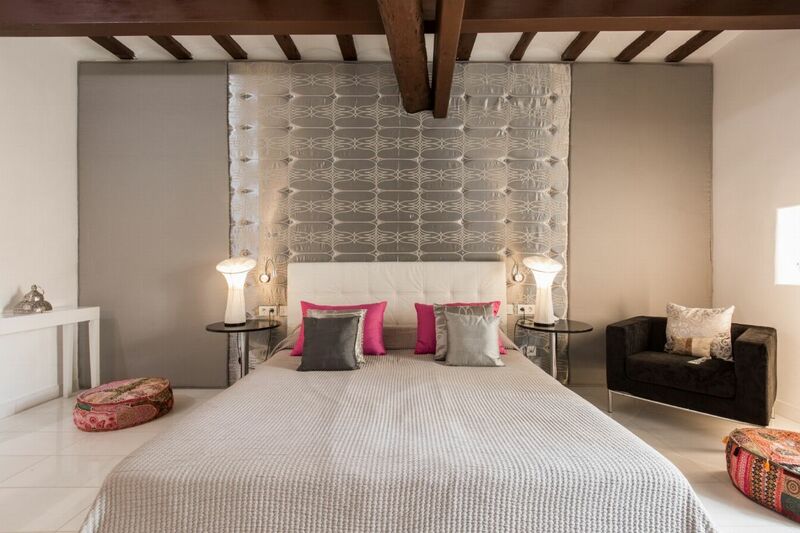 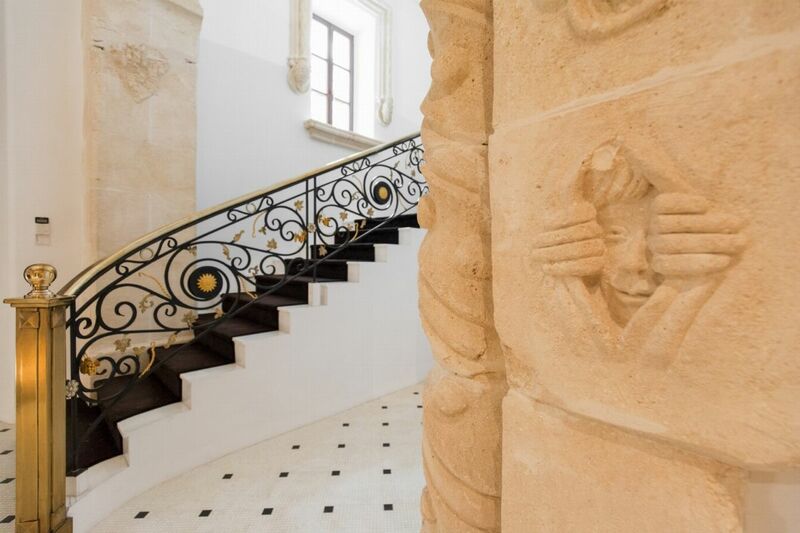 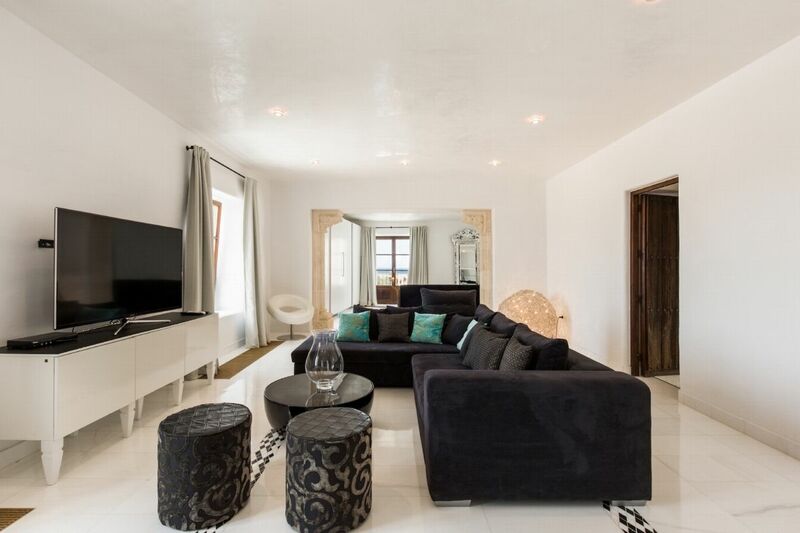 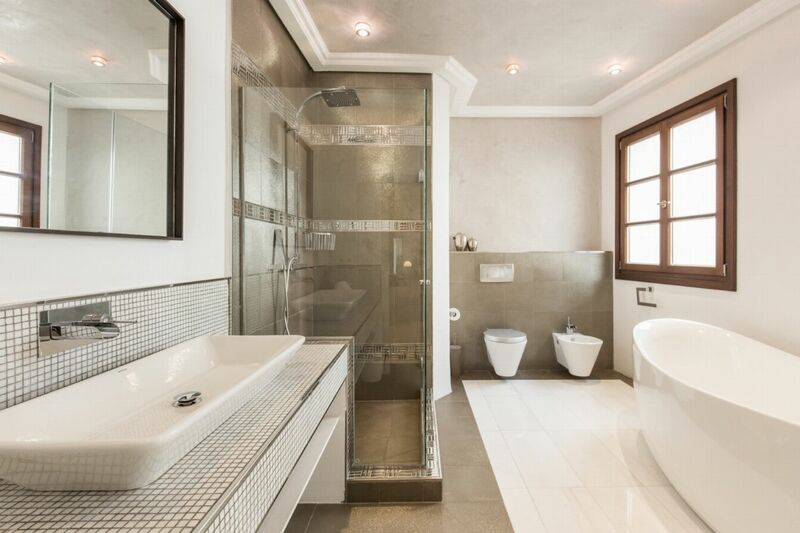 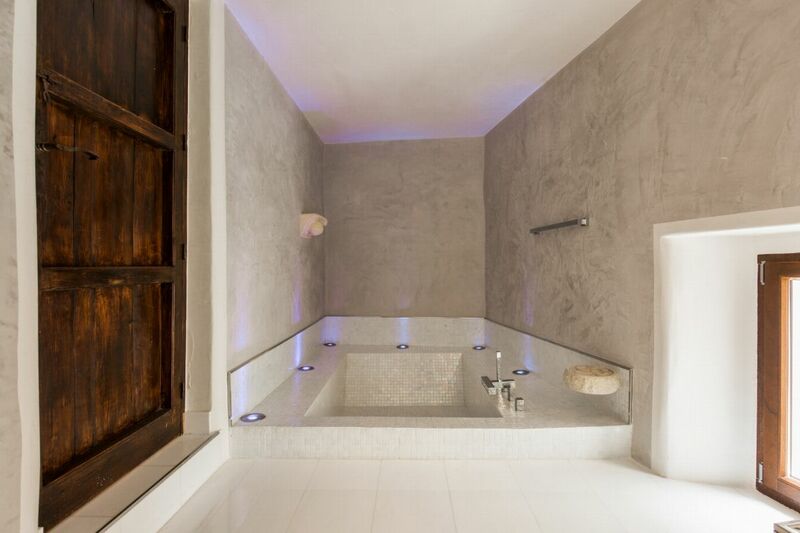 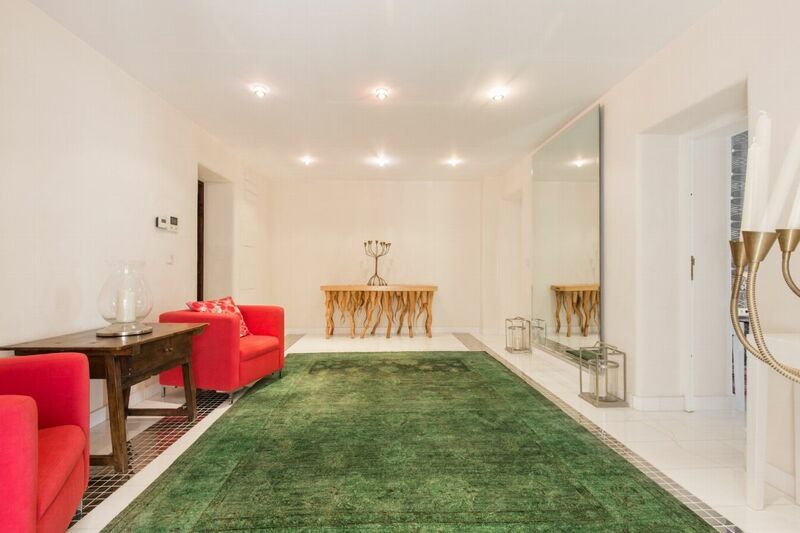 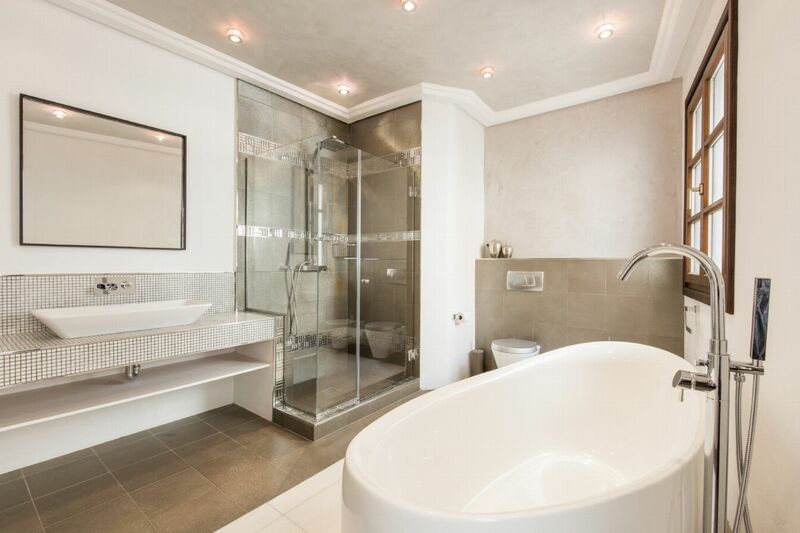 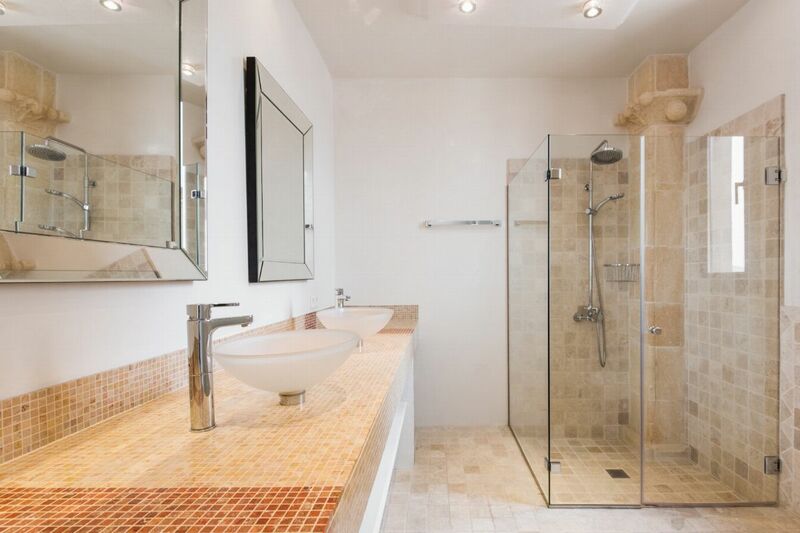 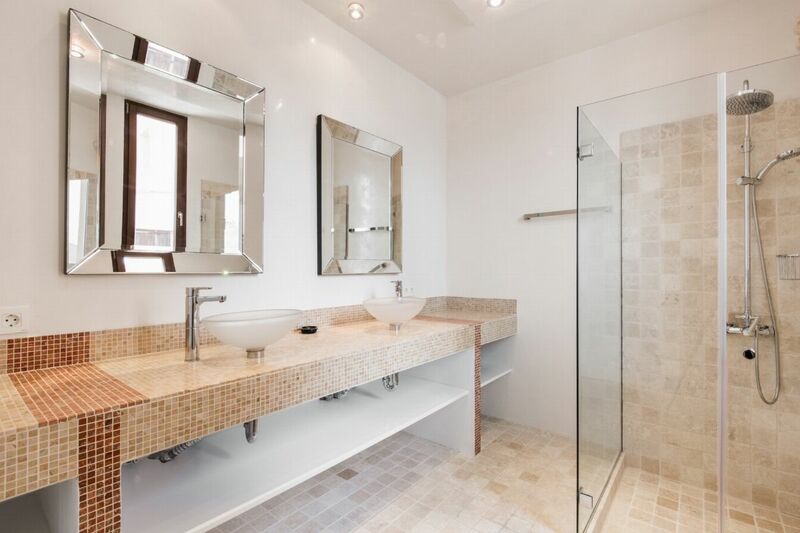 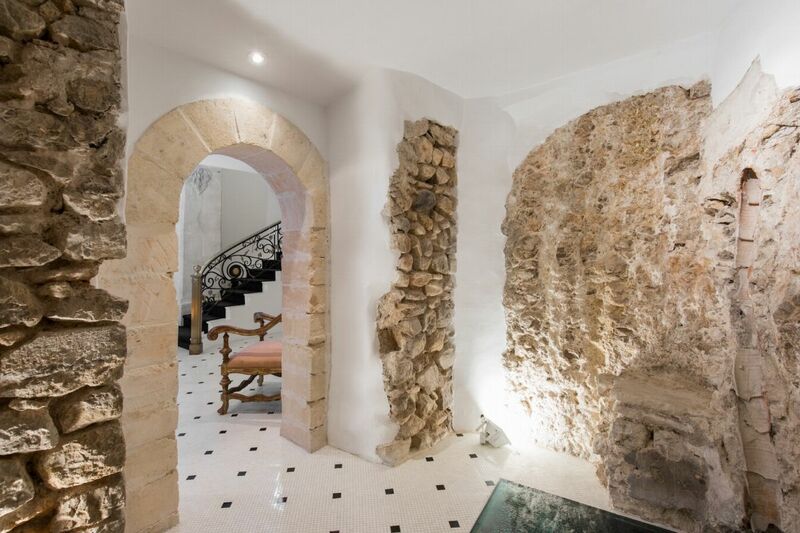 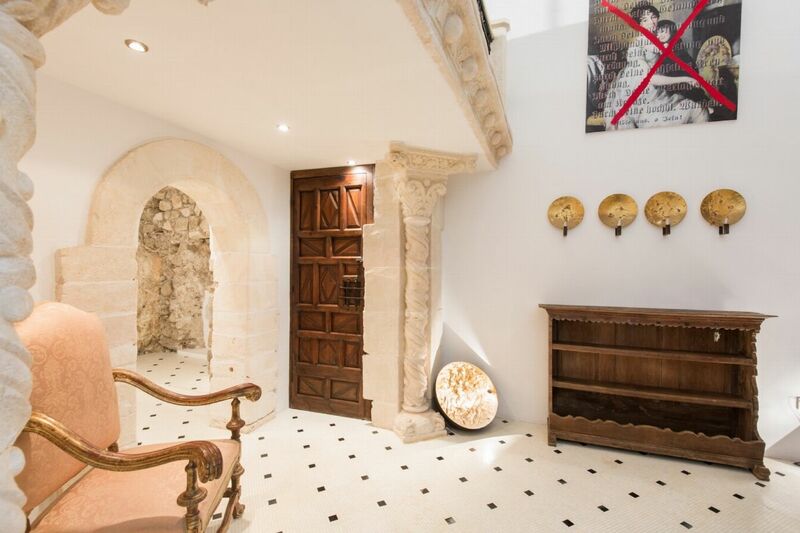 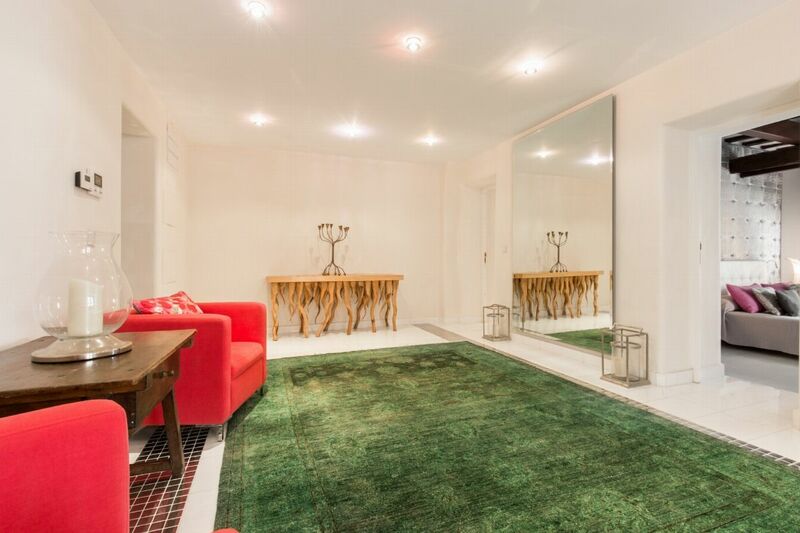 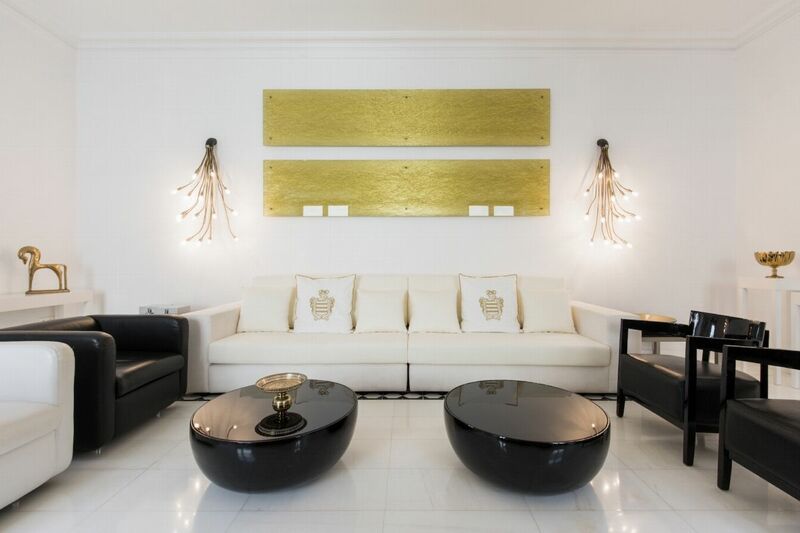 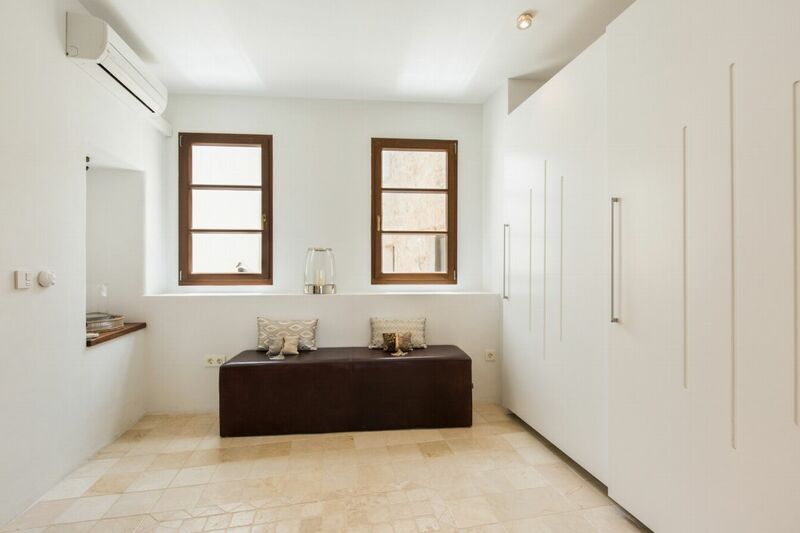 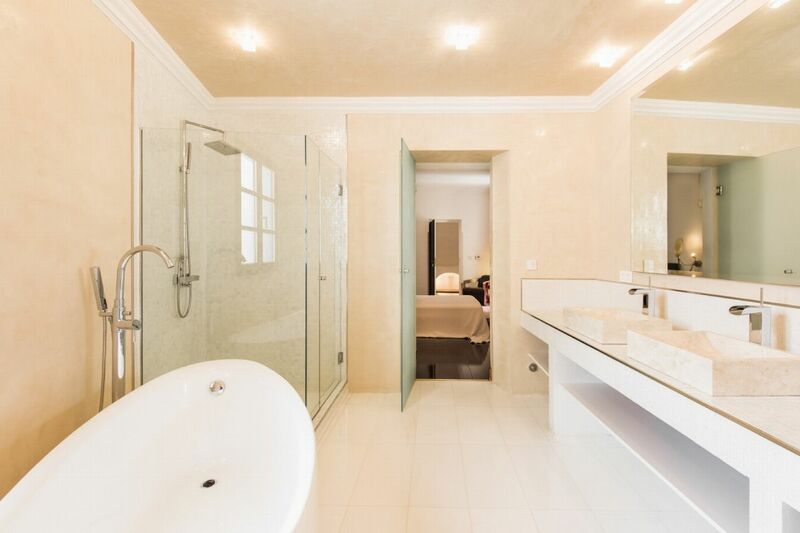 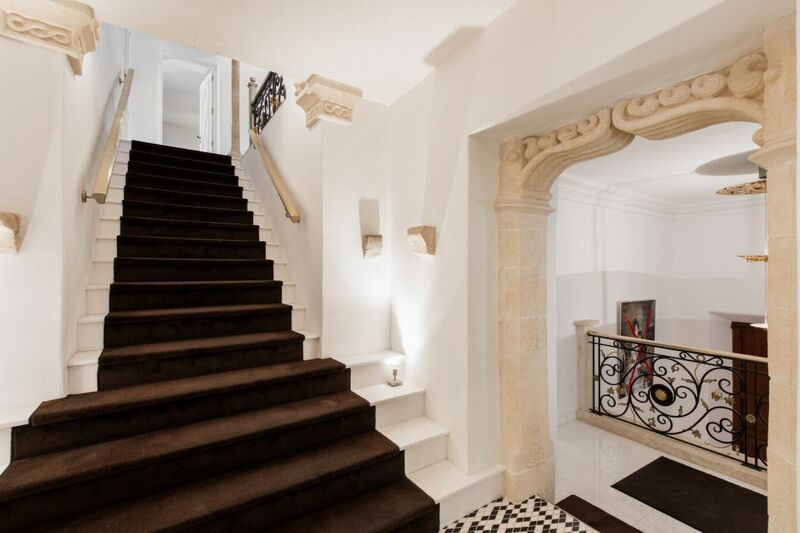 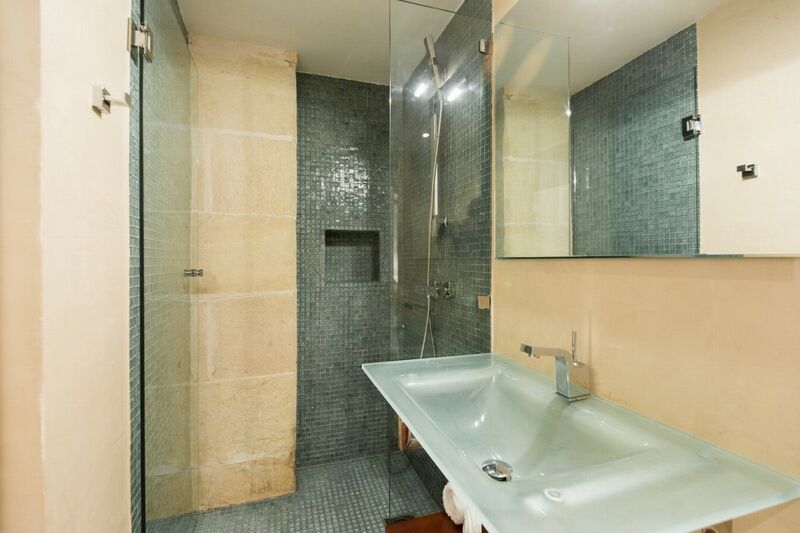 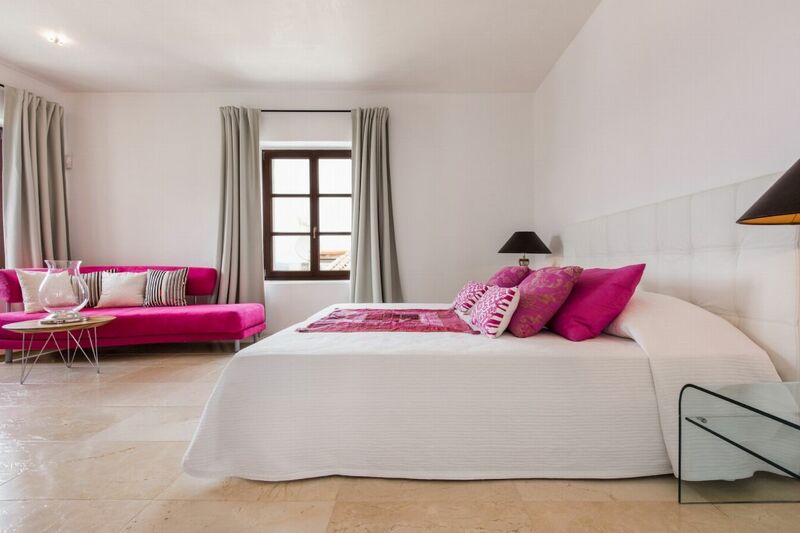 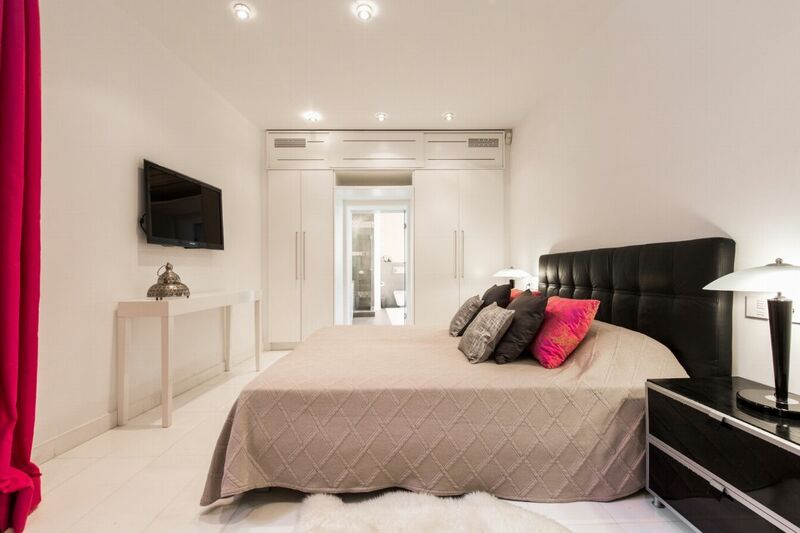 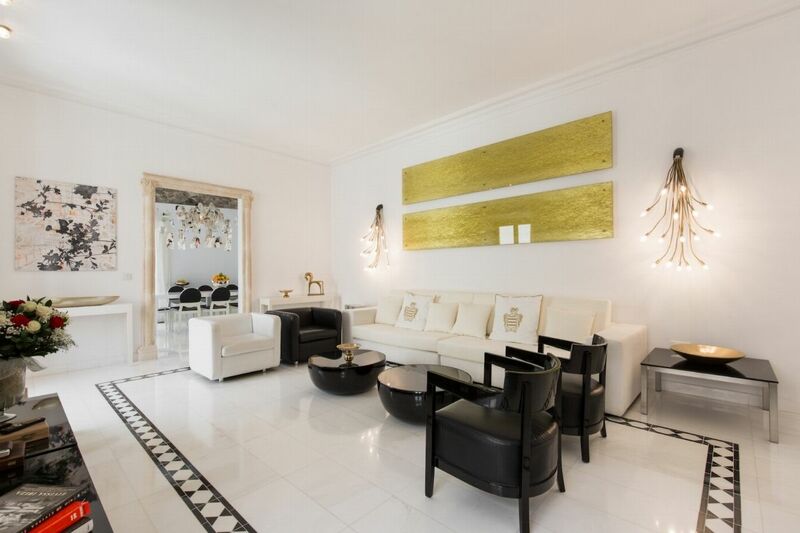 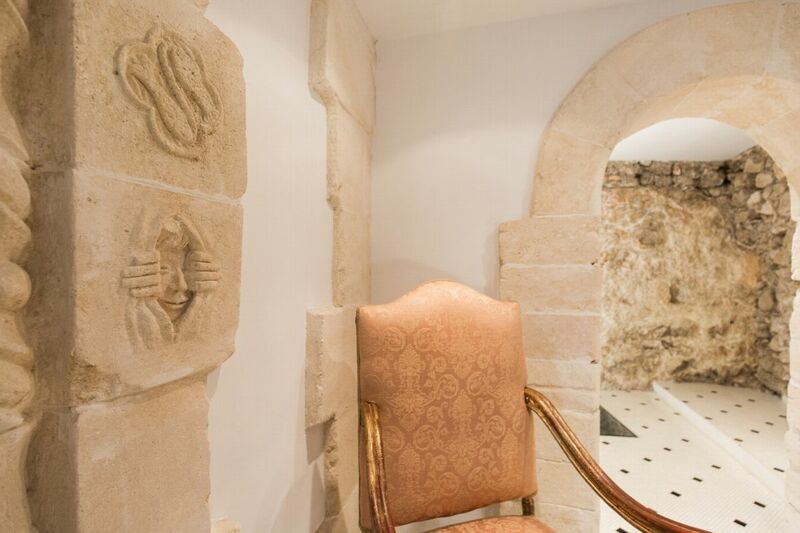 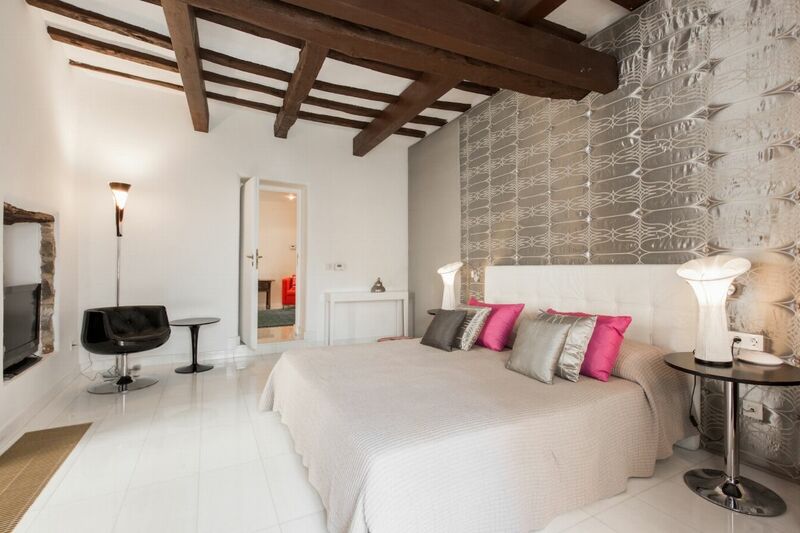 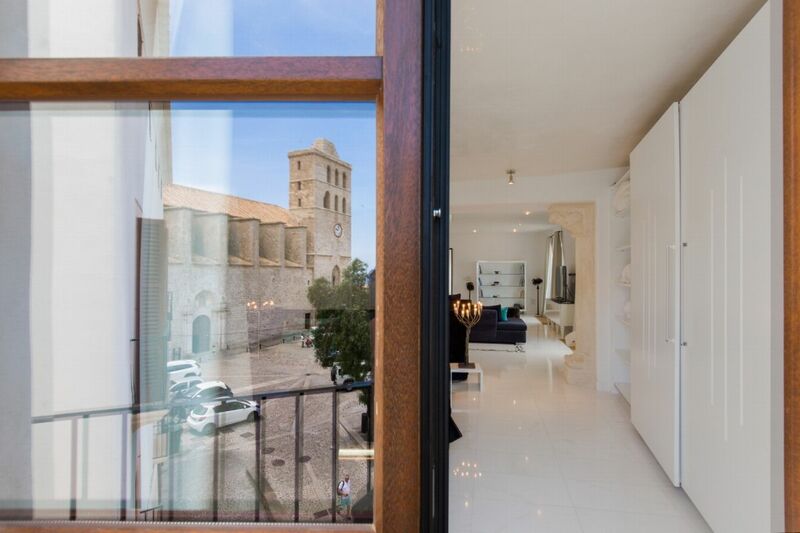 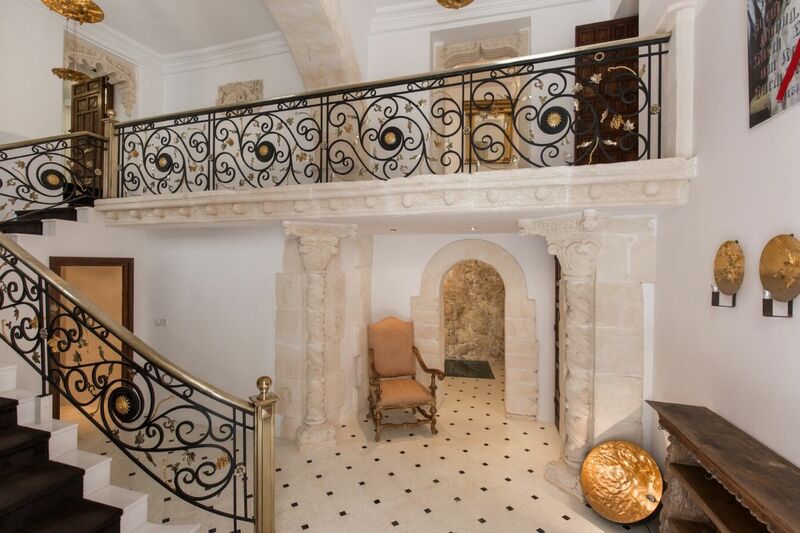 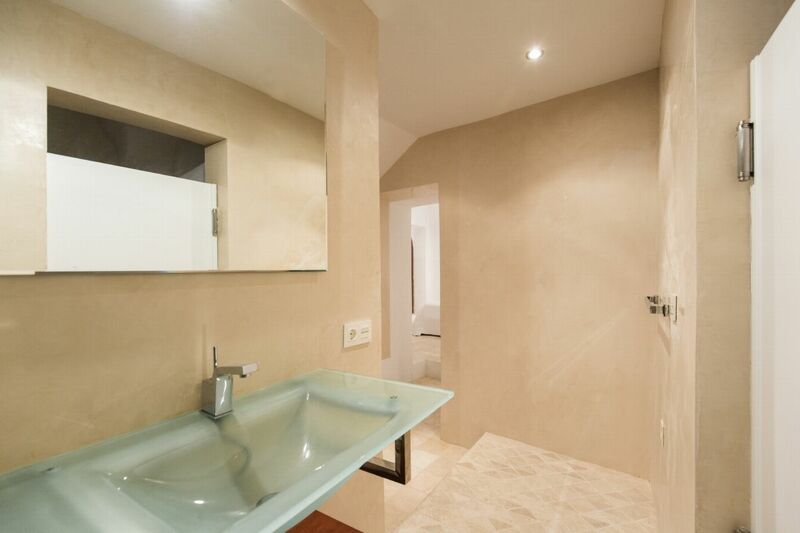 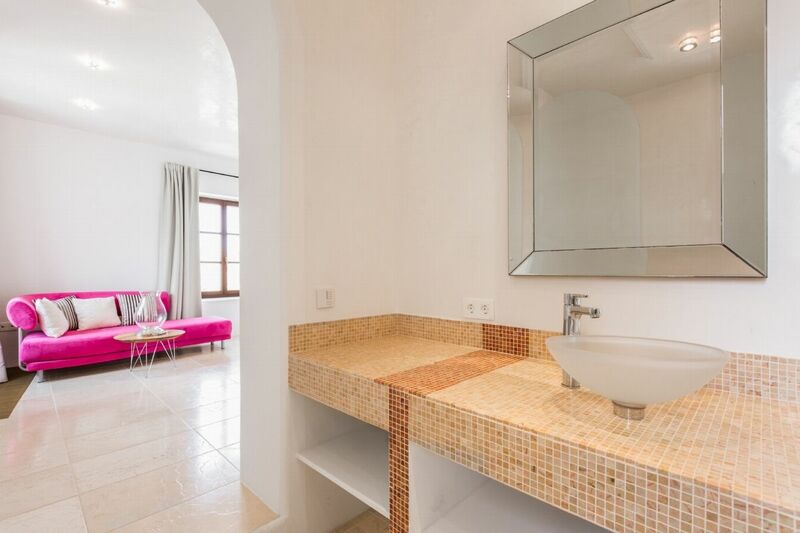 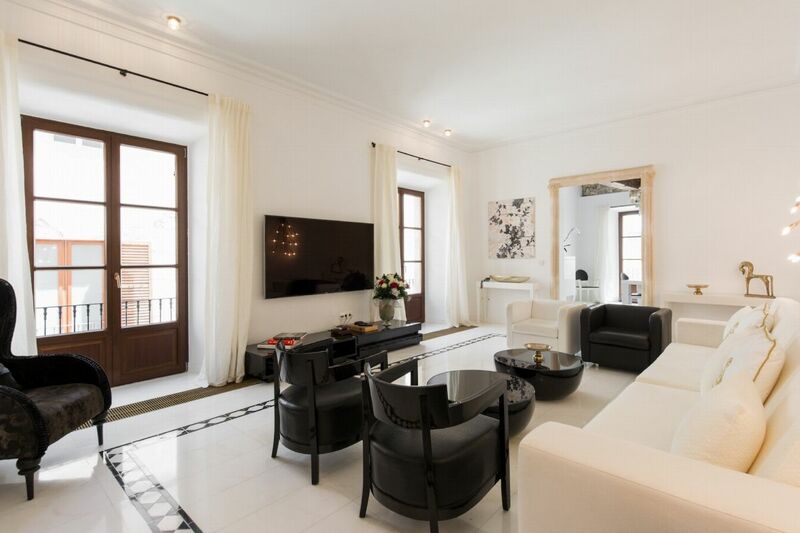 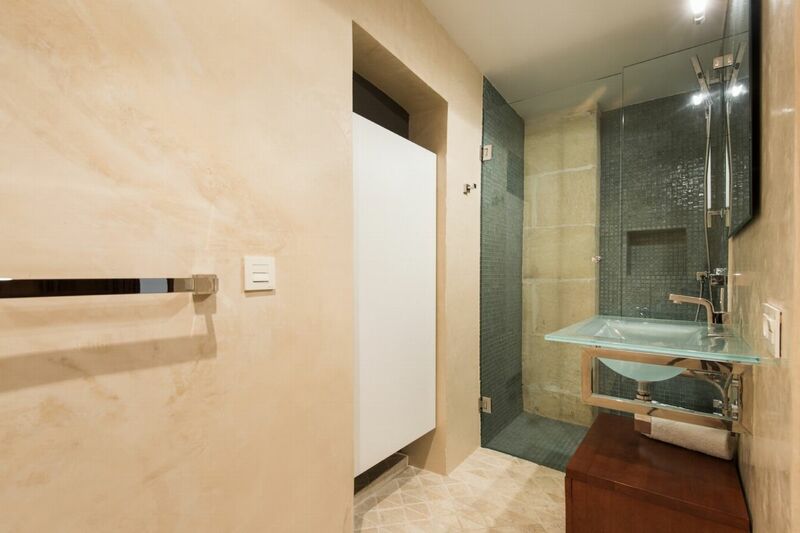 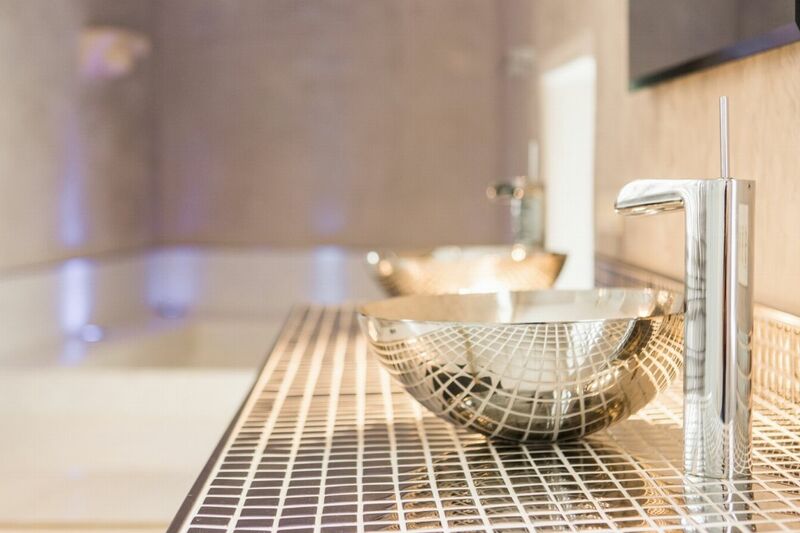 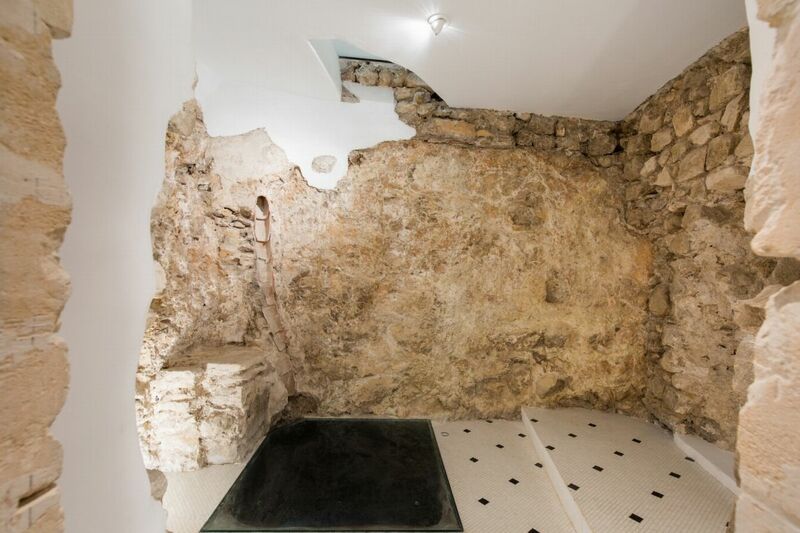 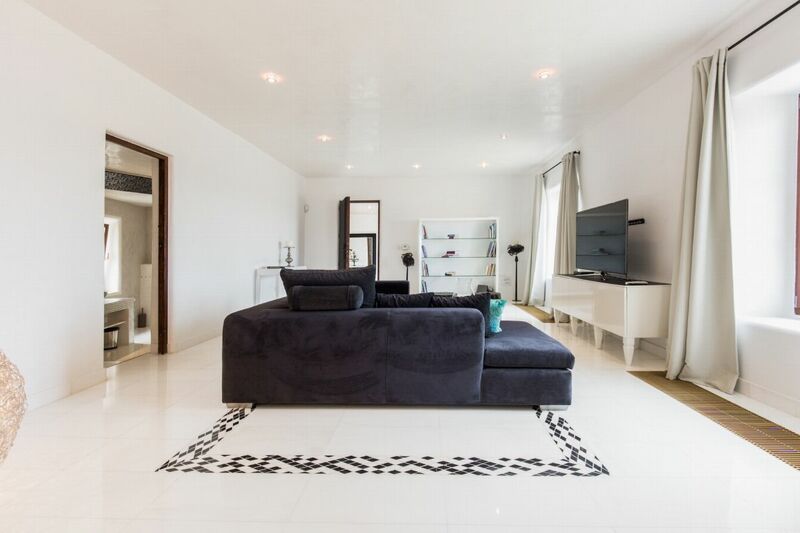 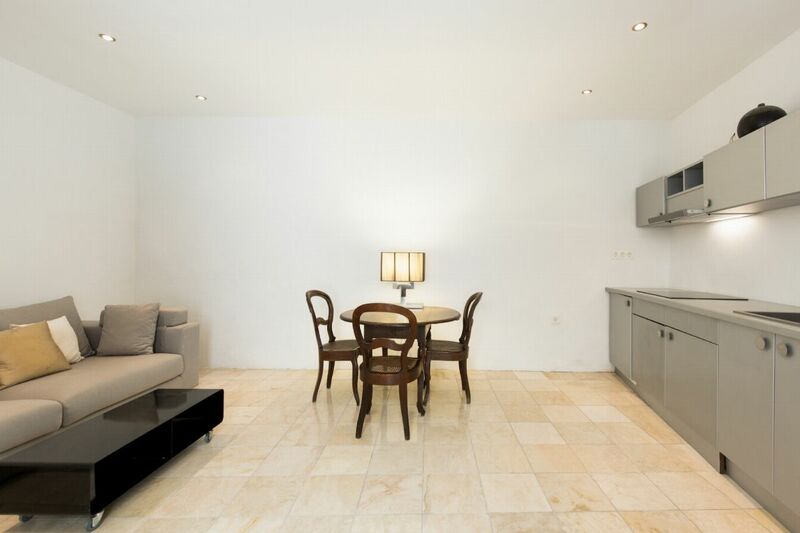 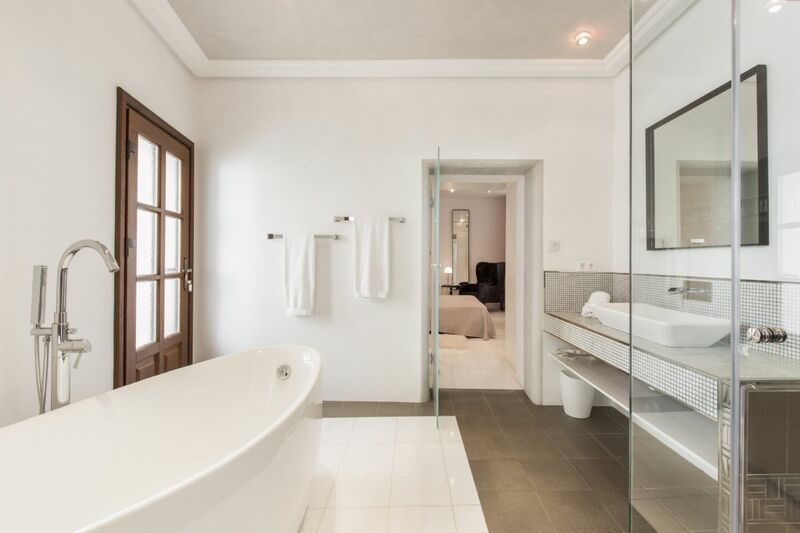 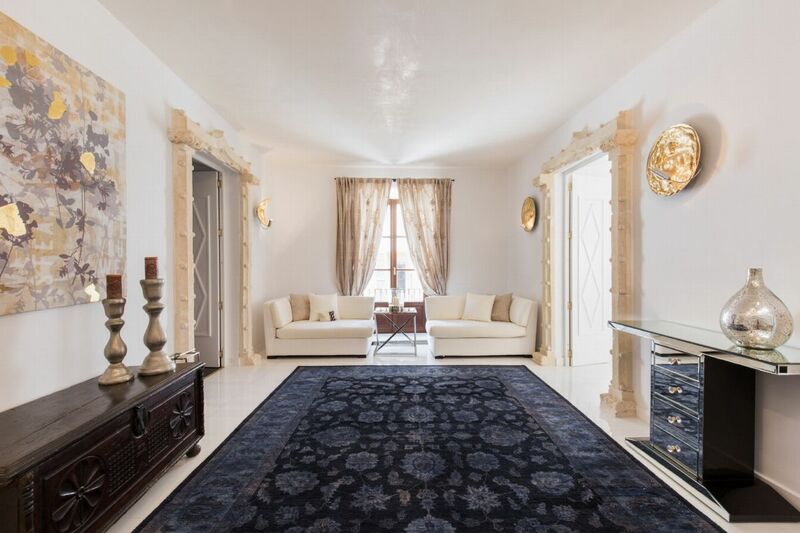 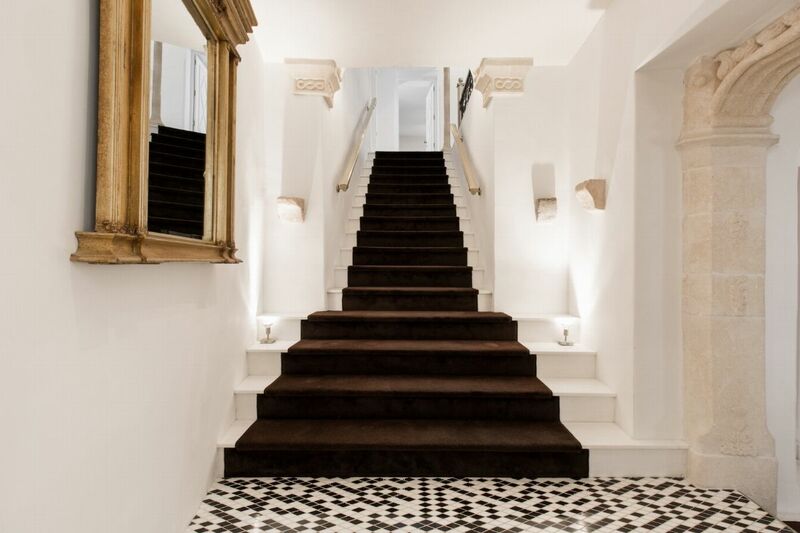 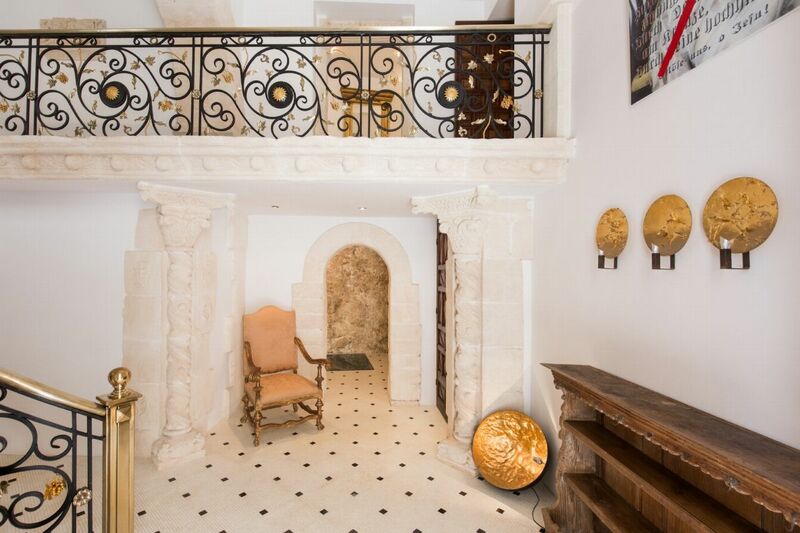 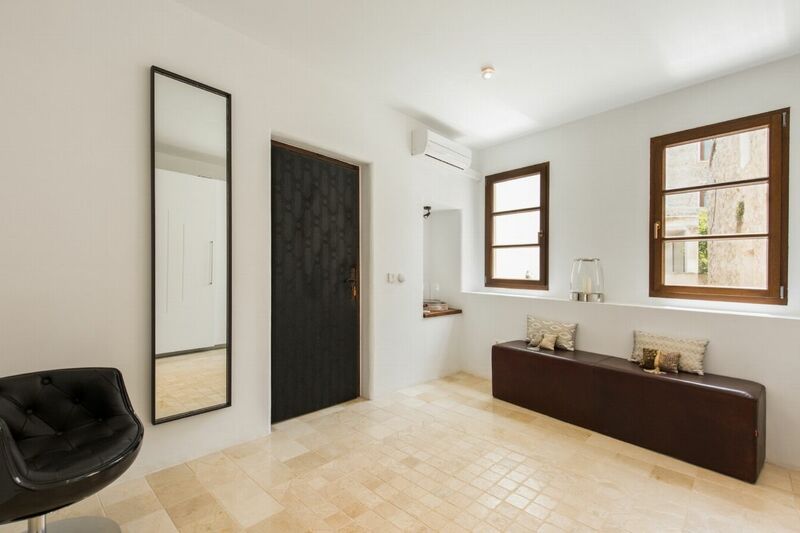 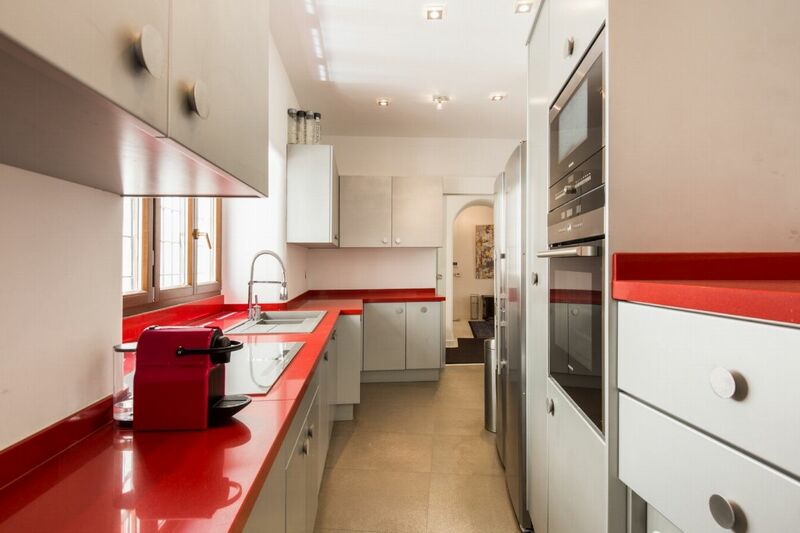 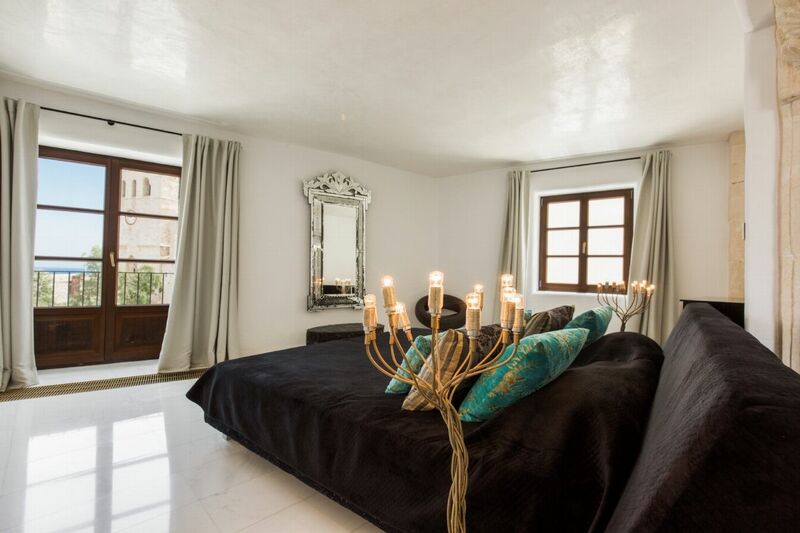 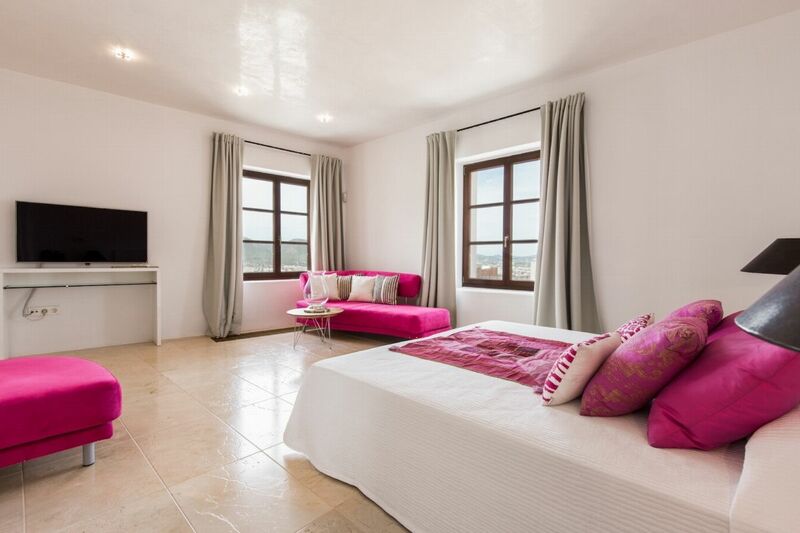 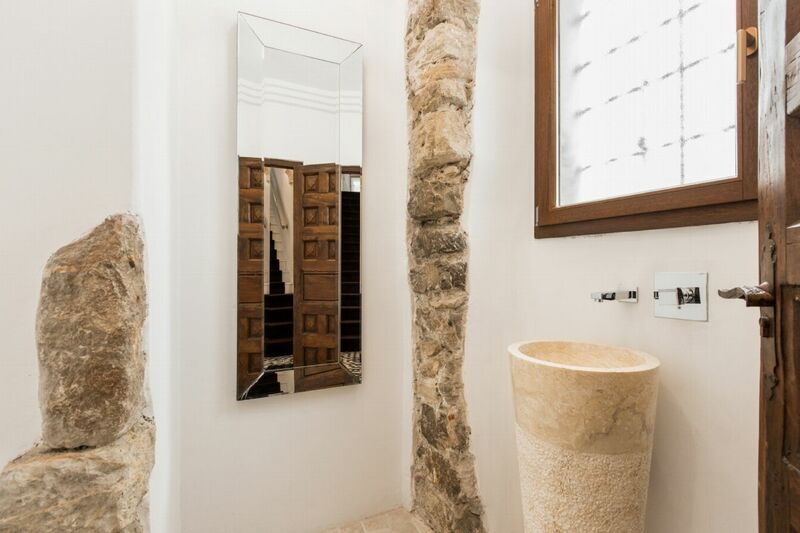 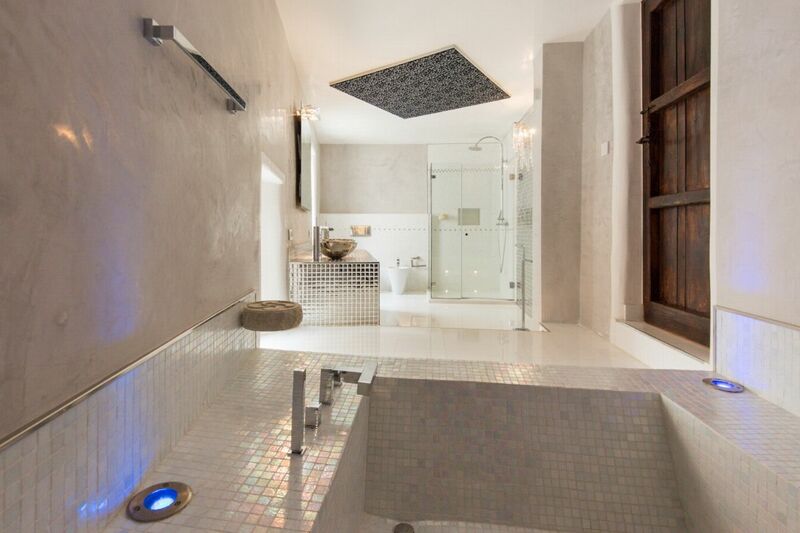 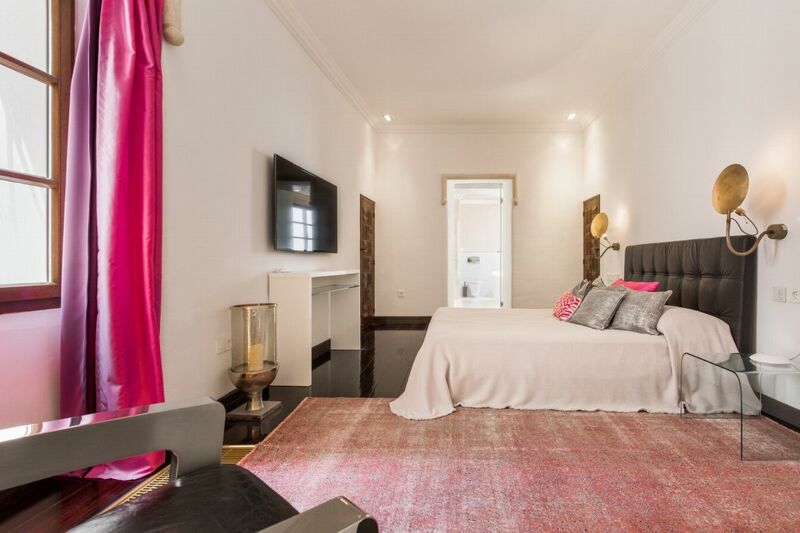 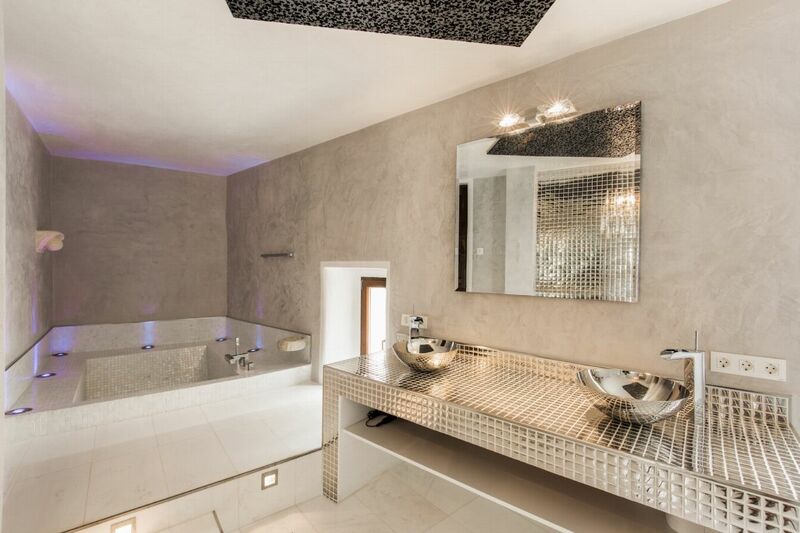 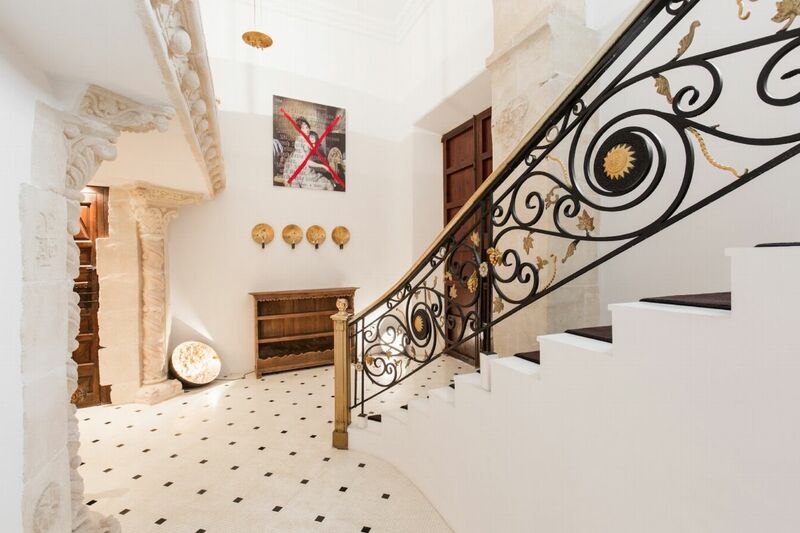 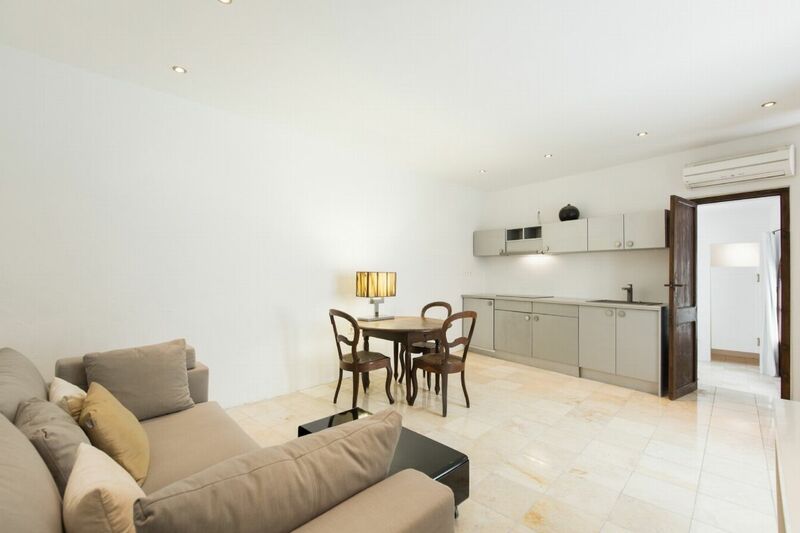 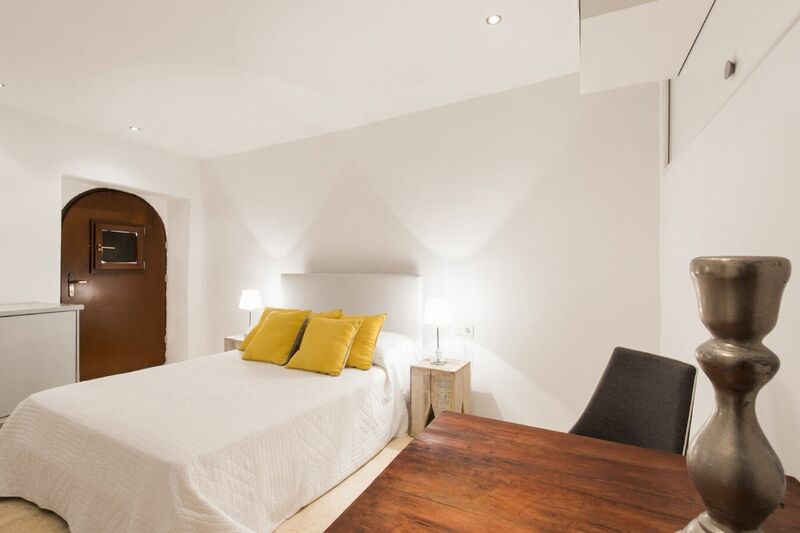 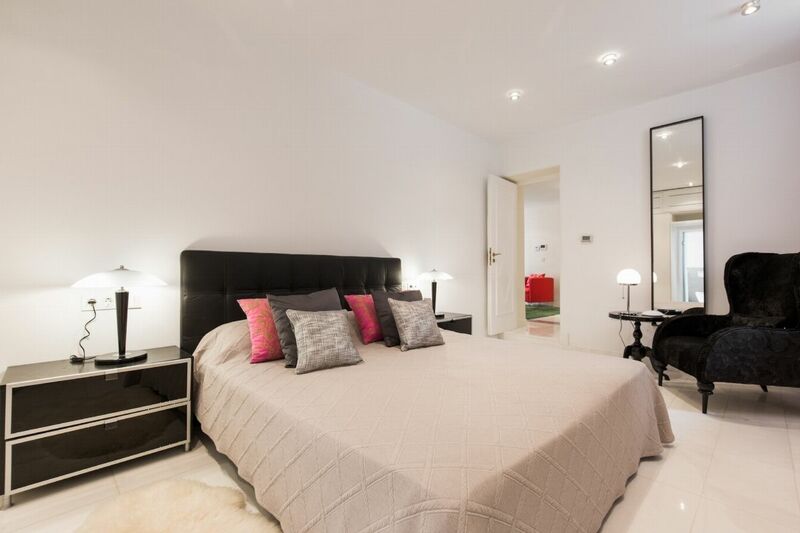 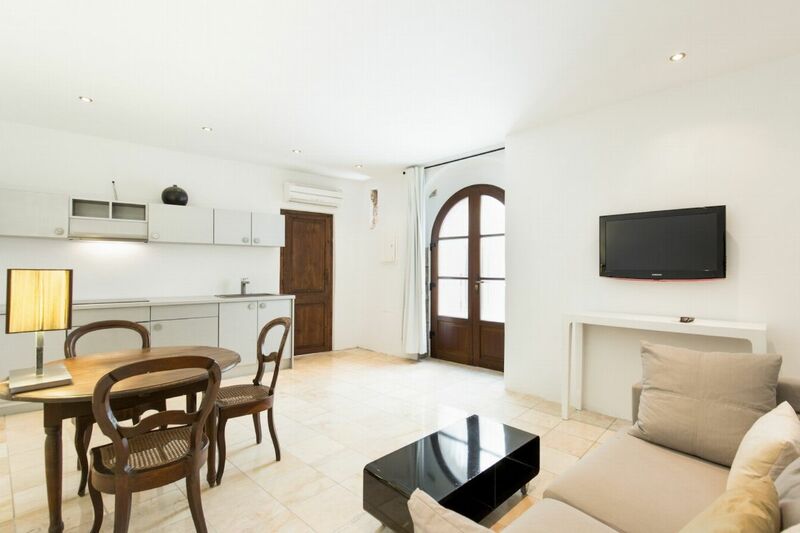 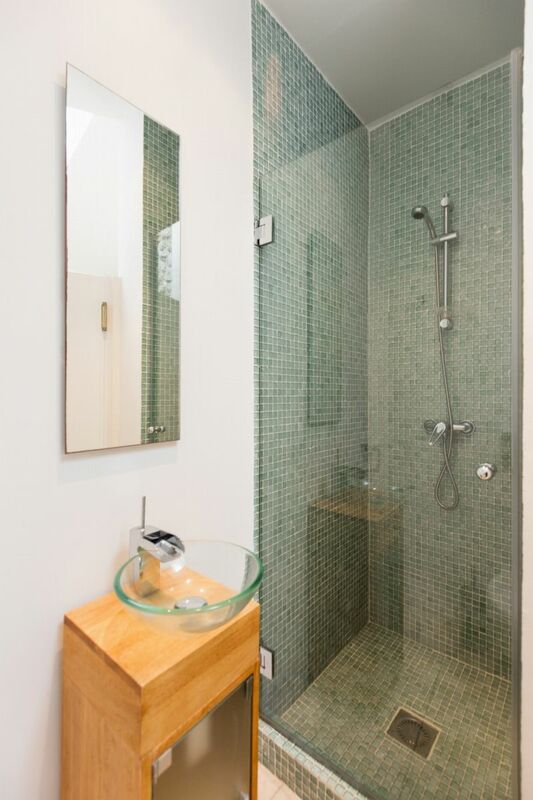 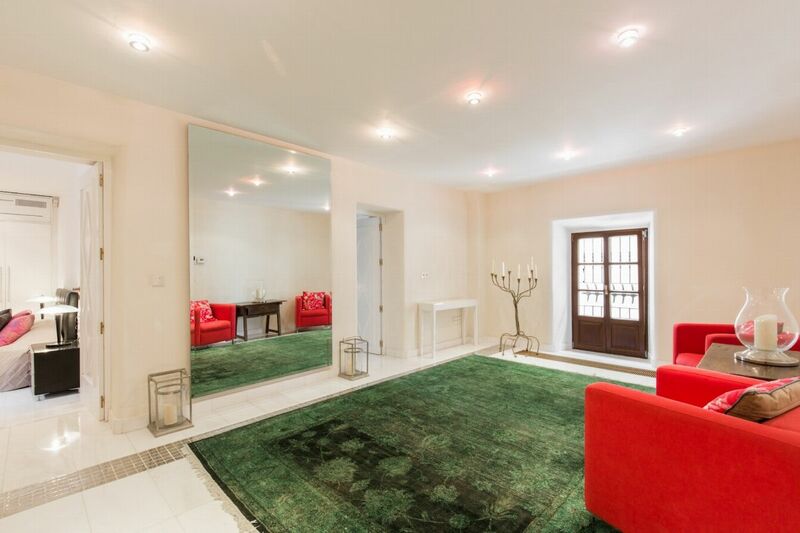 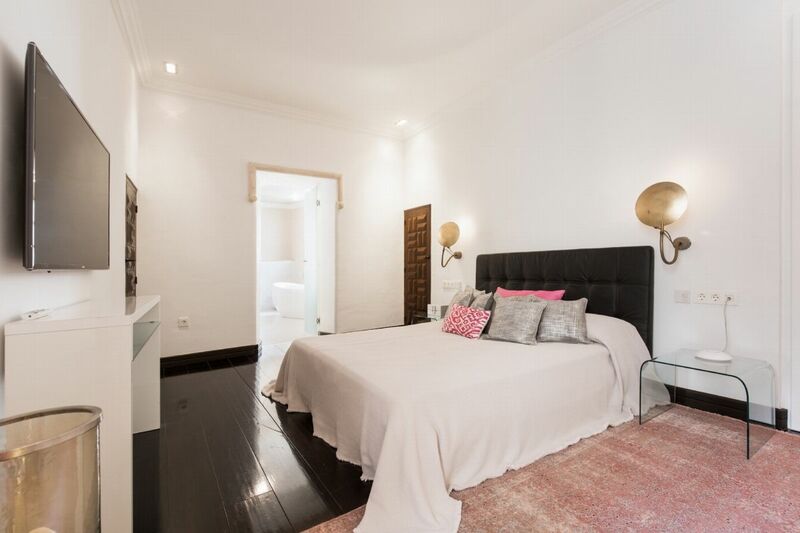 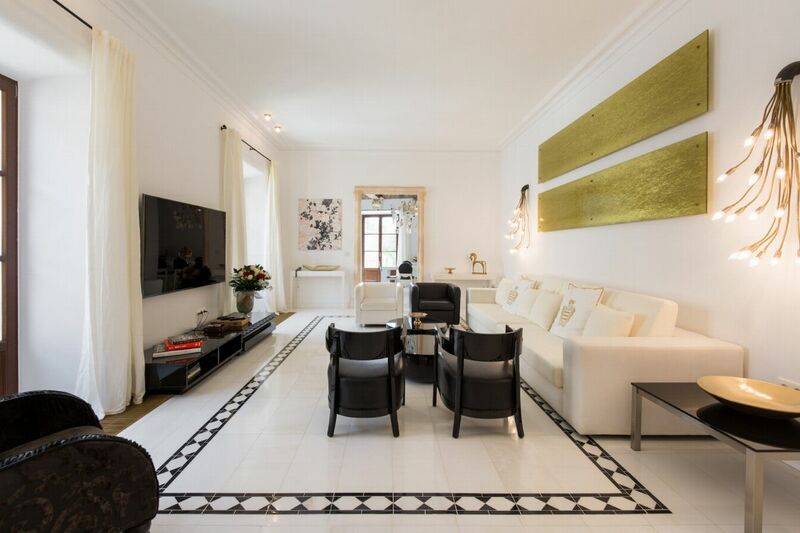 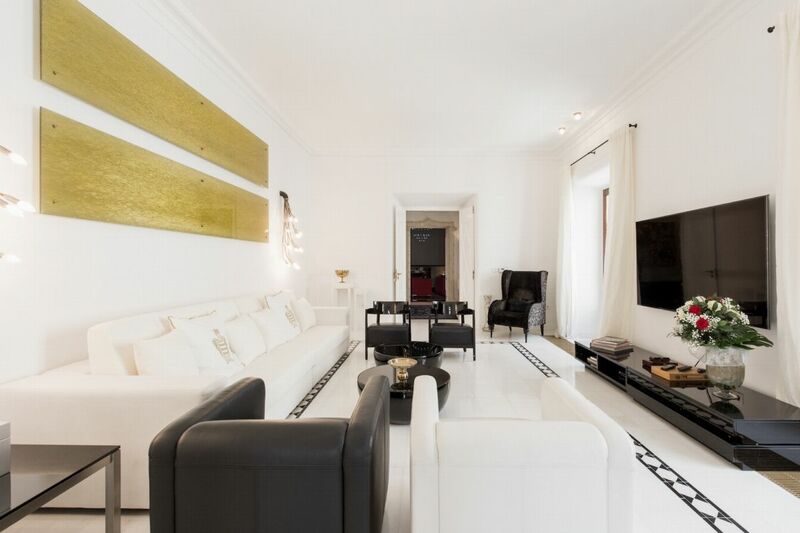 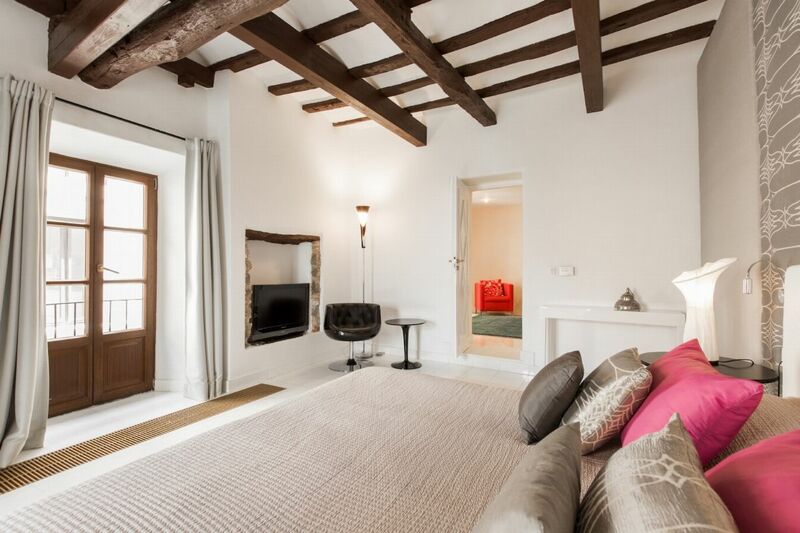 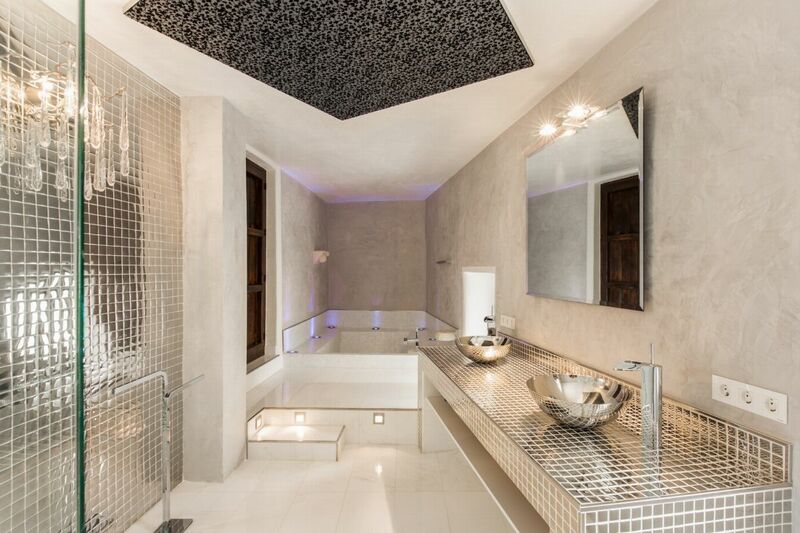 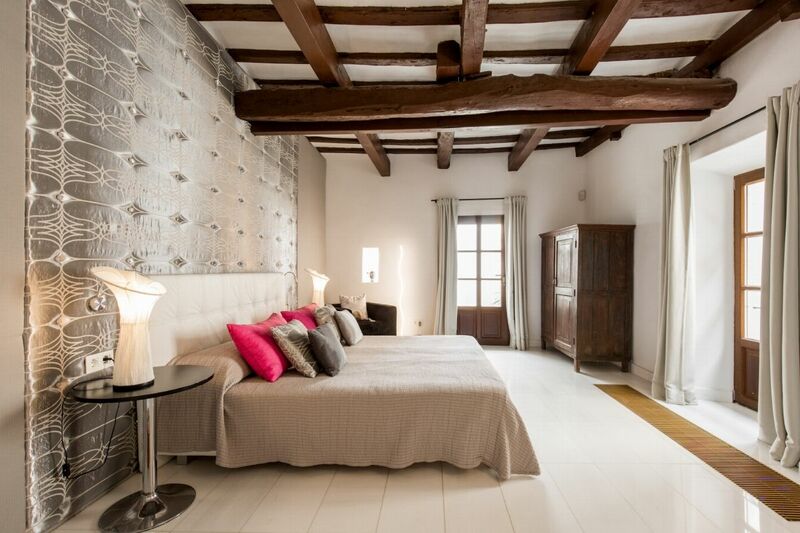 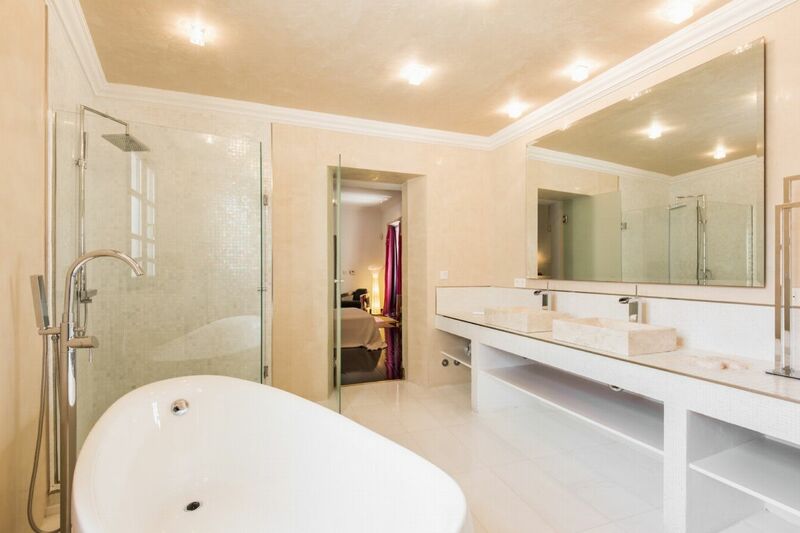 This unique property is located within the historical walls of Dalt Vila and is fit for royalty. 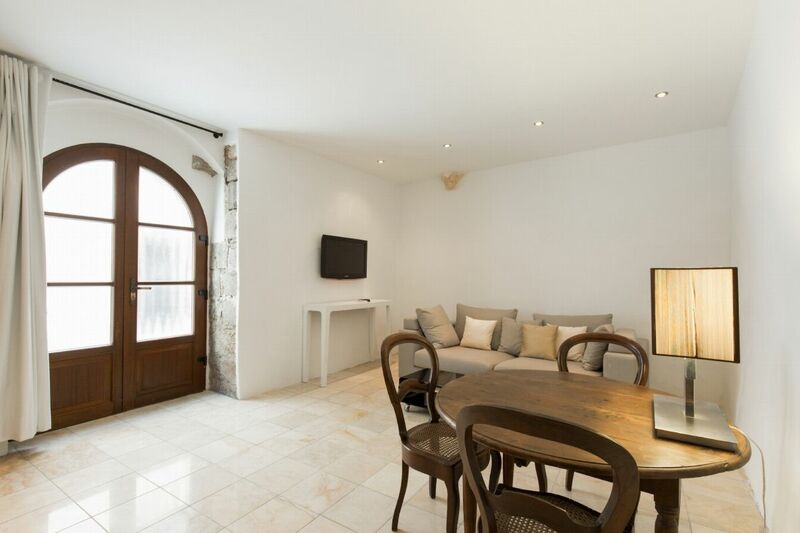 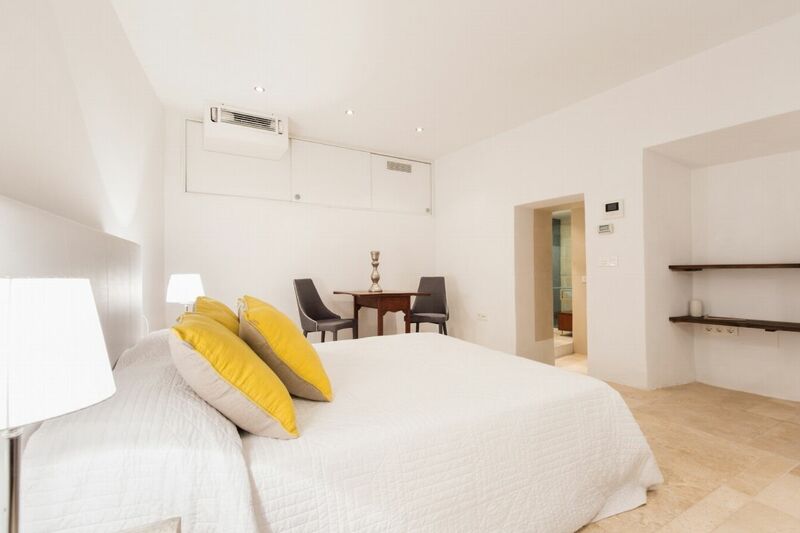 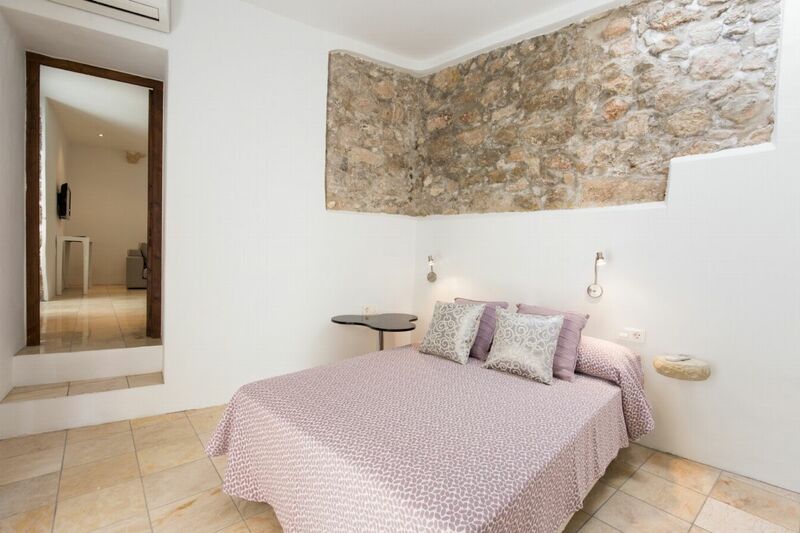 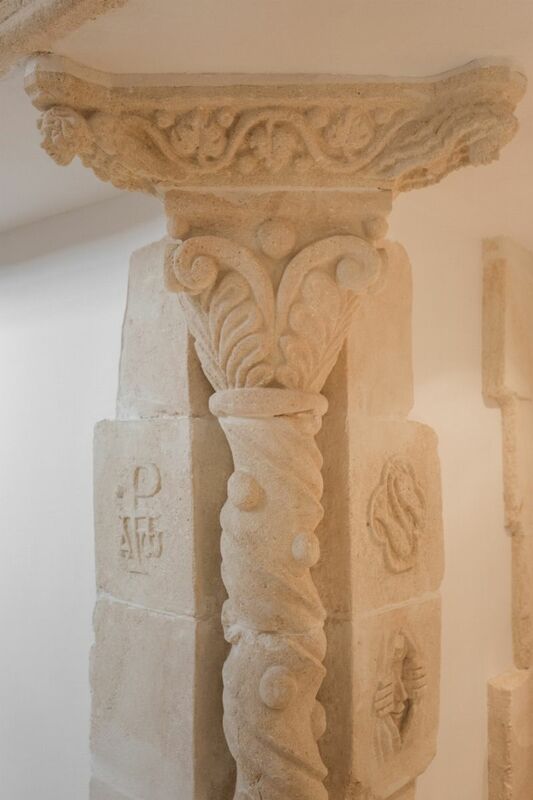 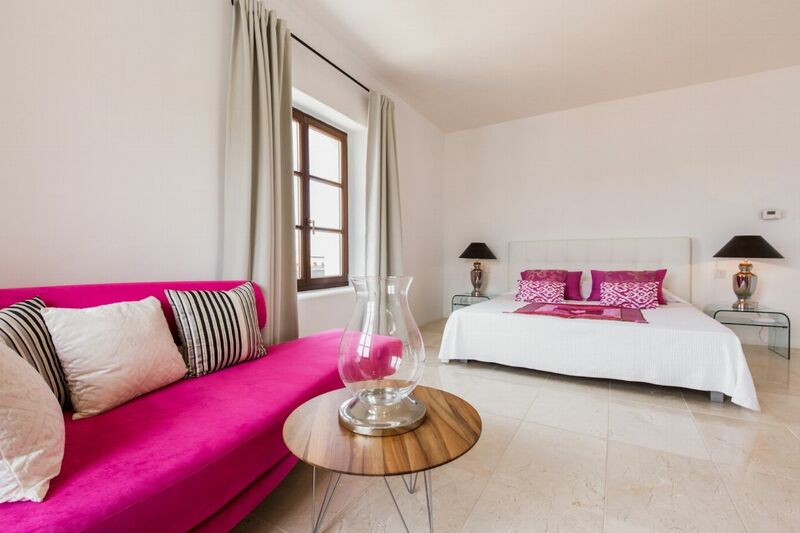 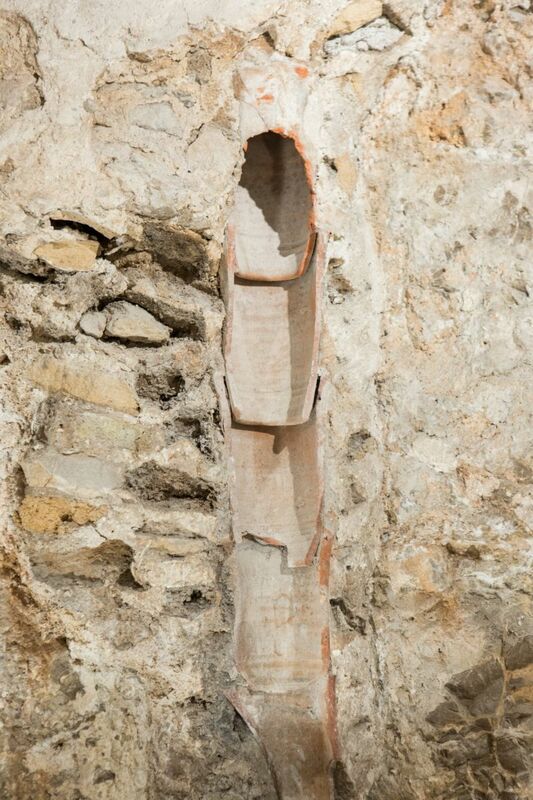 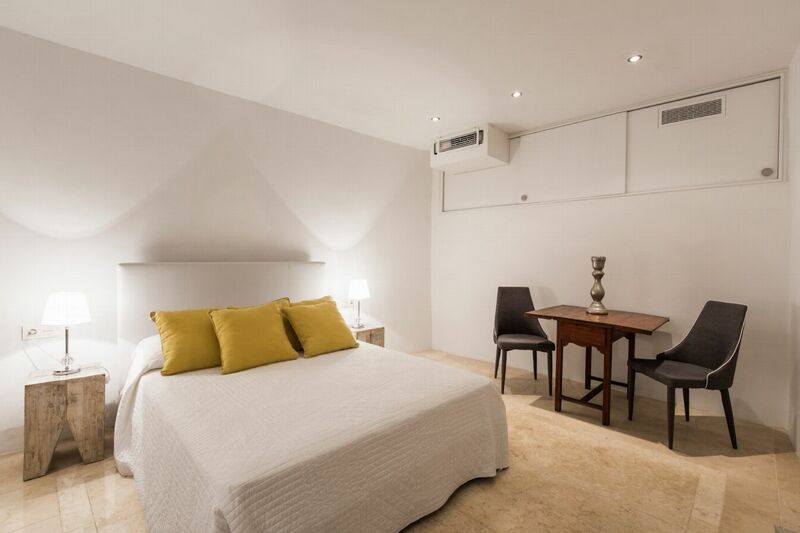 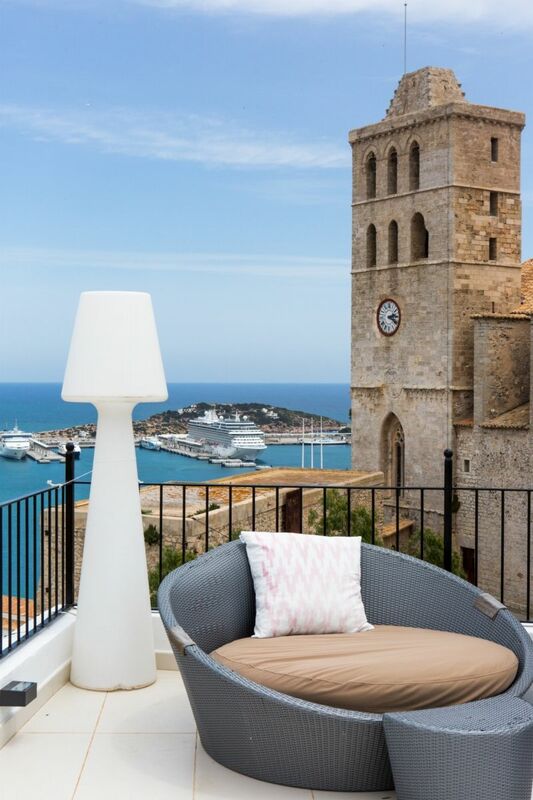 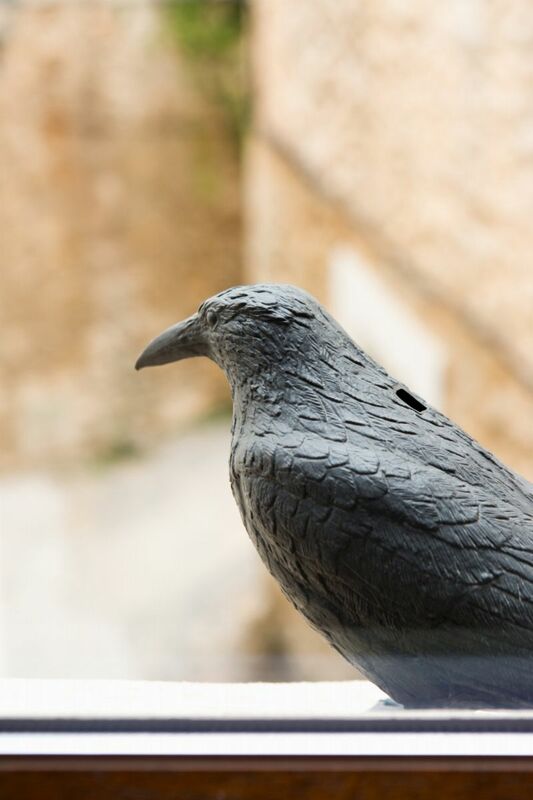 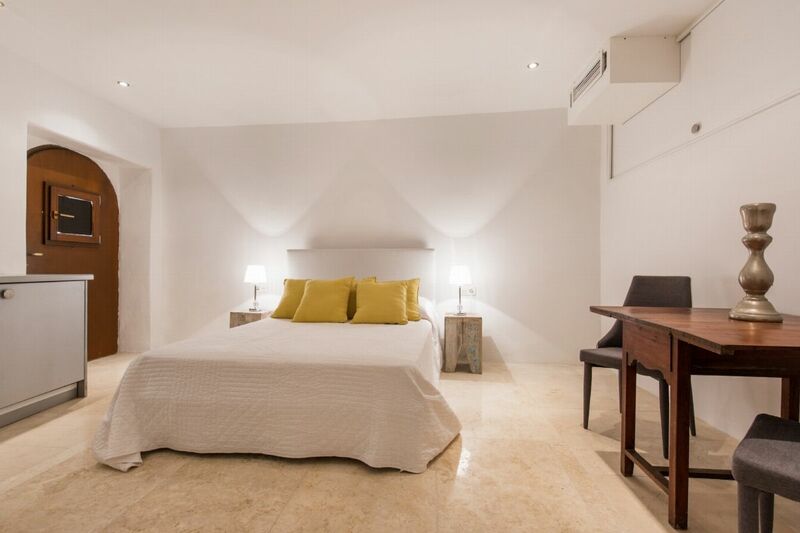 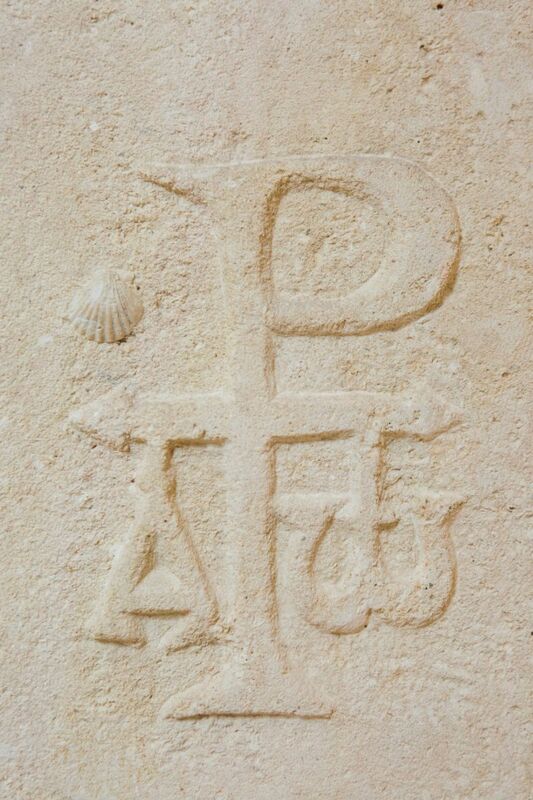 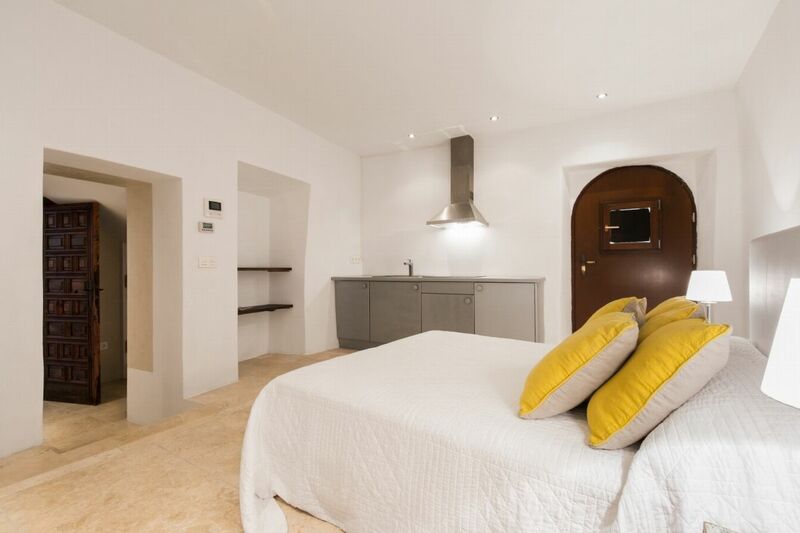 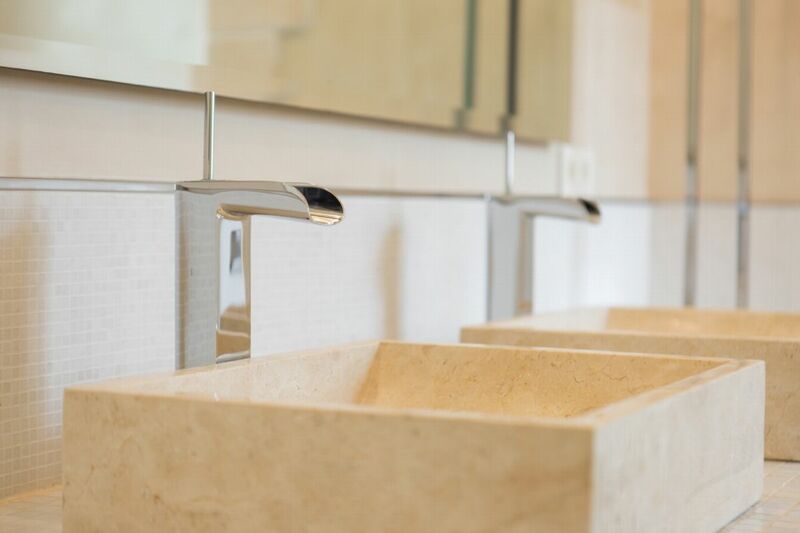 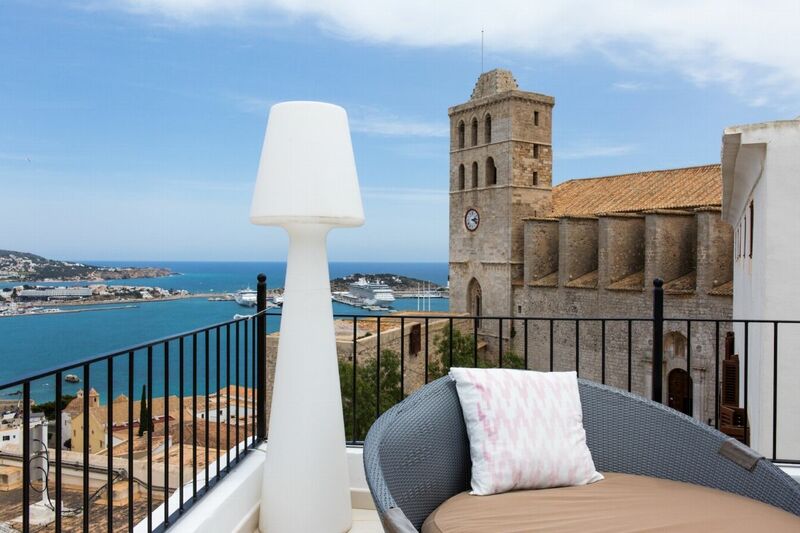 Vista Dalt Vila was originally built in 1740 and renovated in the last few years. 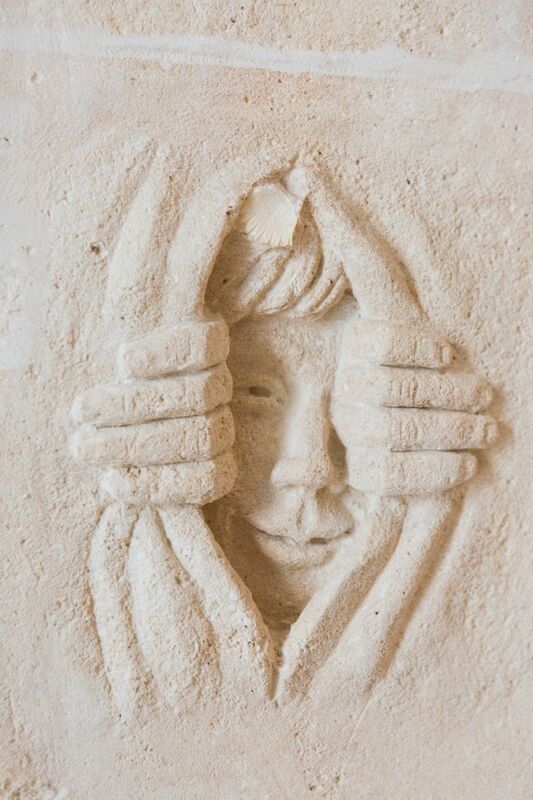 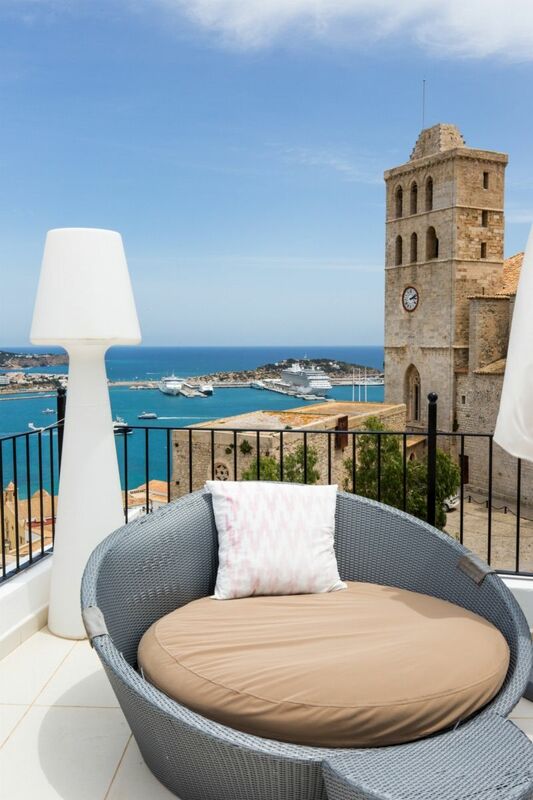 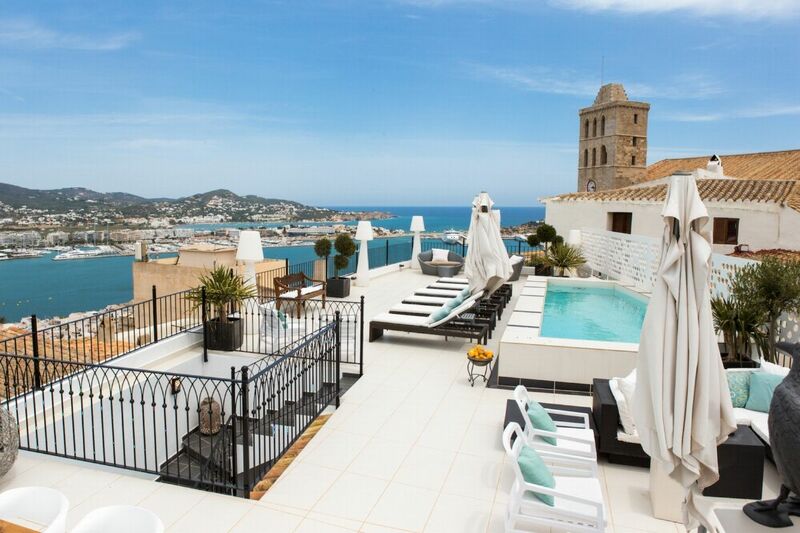 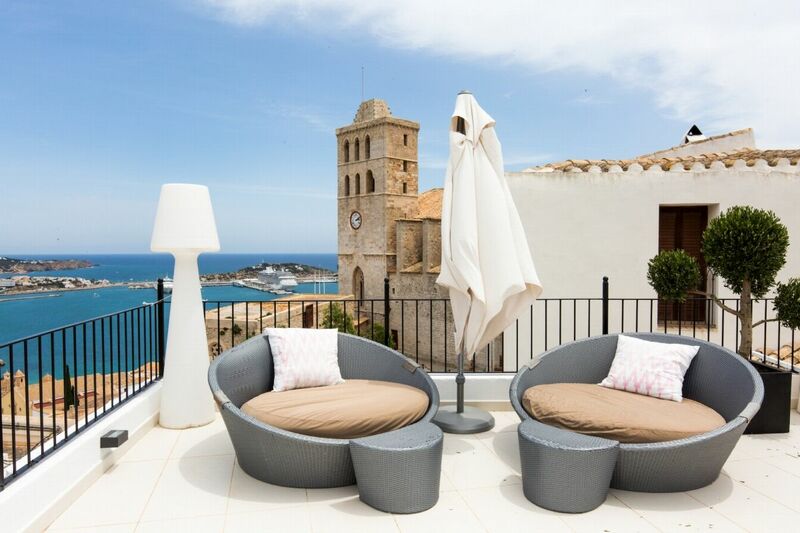 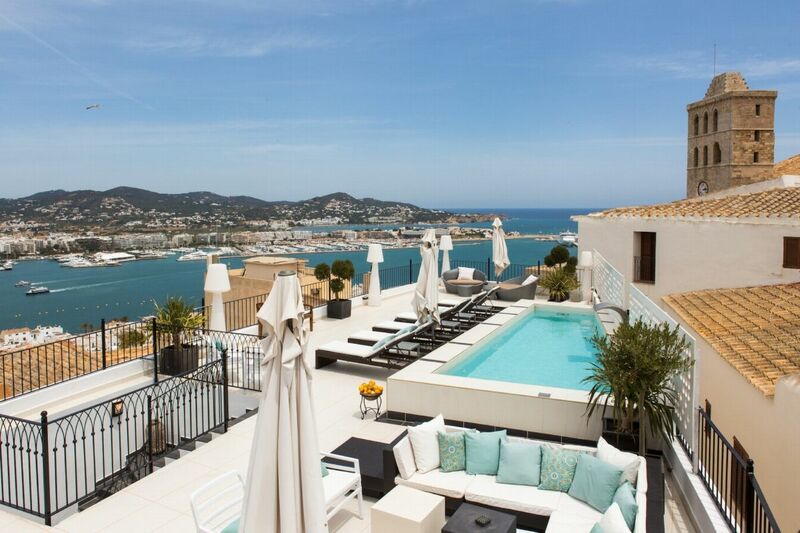 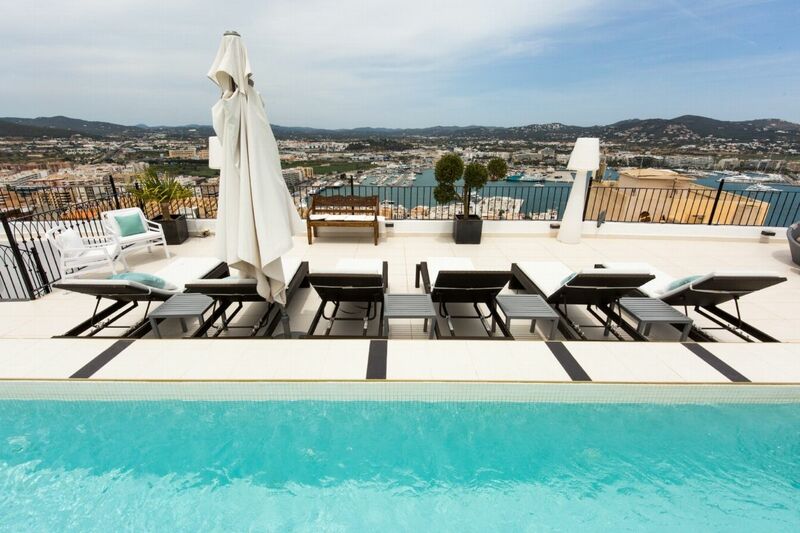 Located in a Unesco World Heritage Site it offers an amazing roof terrace of 240m2 with stunning views over the old town, the harbour, the sea and the Ibizan countryside. 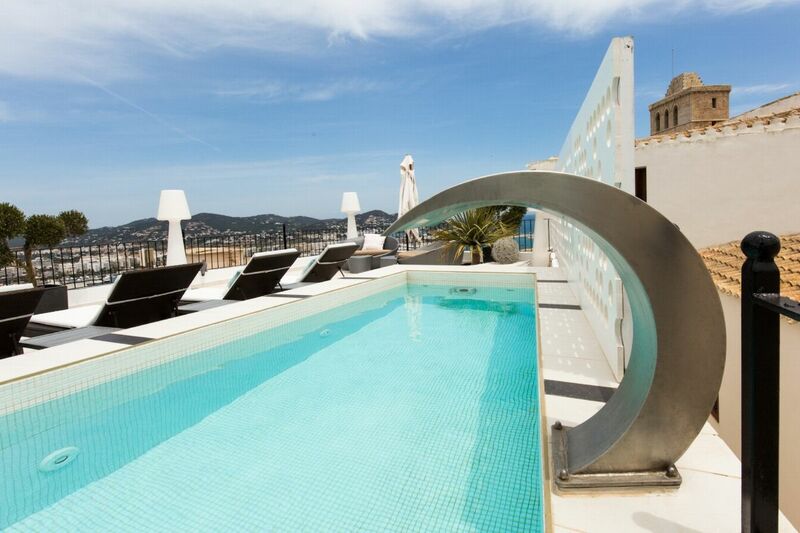 Also on this upper level there is a BBQ, an outdoor kitchen and a swimming pool with lots of space for relaxing and sunbathing. 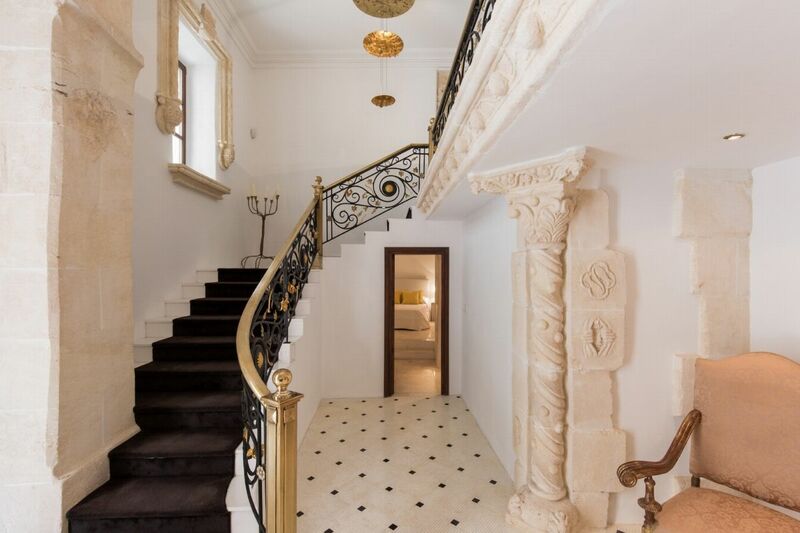 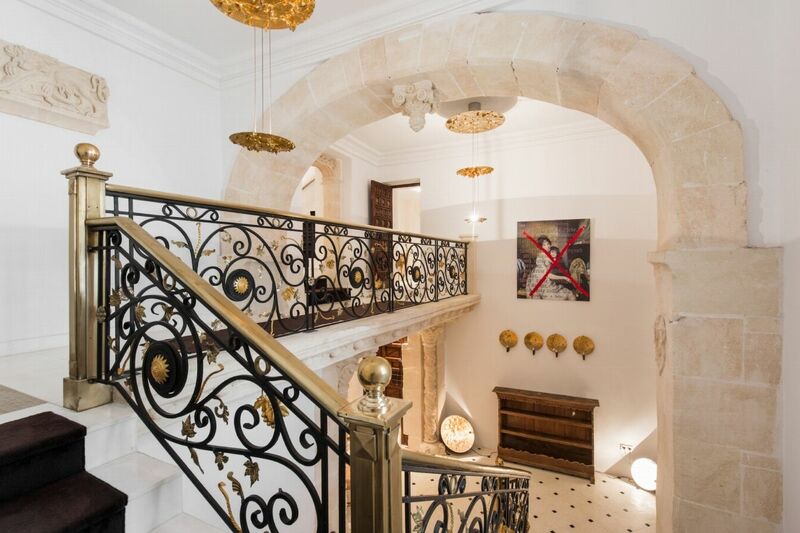 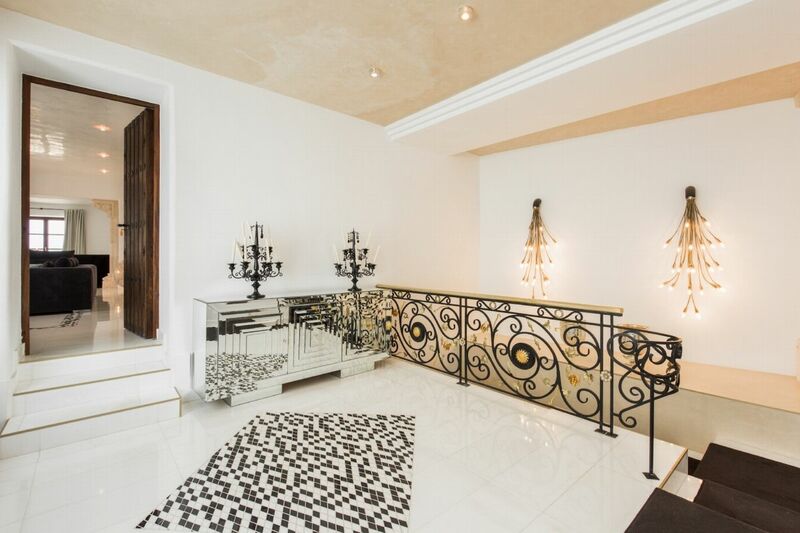 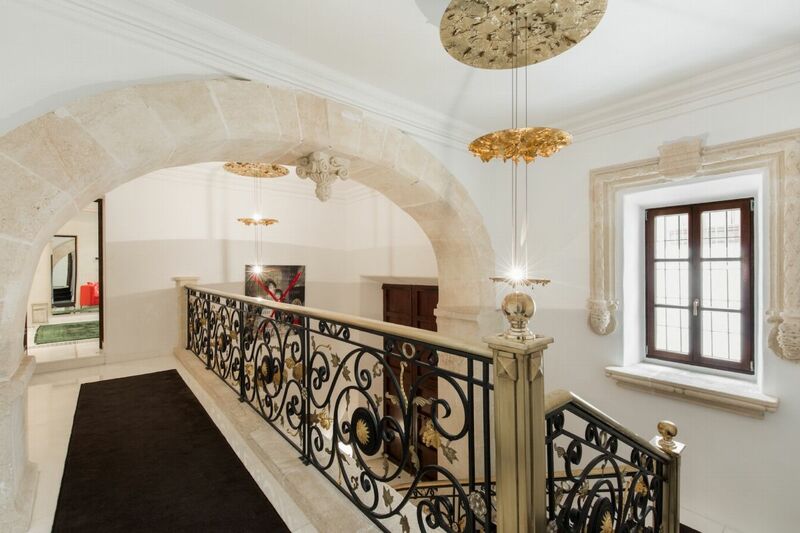 The palace has been carefully renovated and reconstructed during three years of work by a well known German developer, and the outcome is a fantastic combination of tradition and modernity with white and black used as main colours throughout the building, supported by a sophisticated splash of gold here and there. 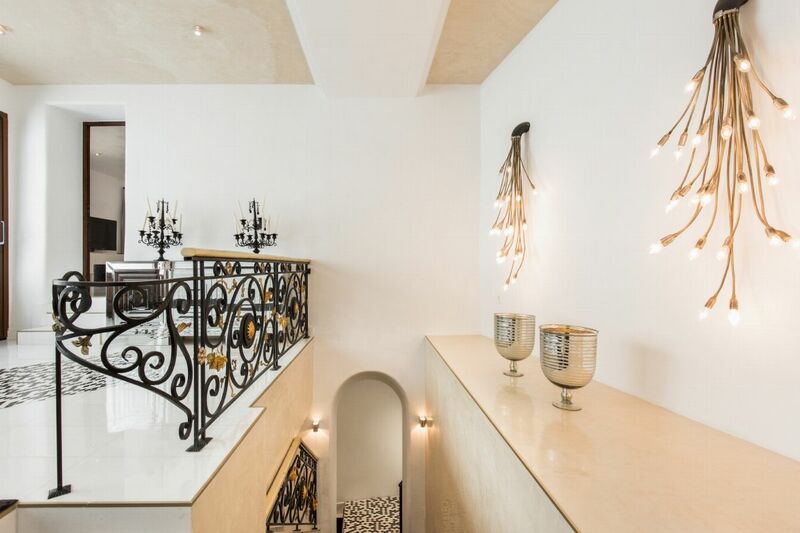 LIVING AREAS The access to the property is through a great reception hall from which a grand stairway leads to the upper floors. 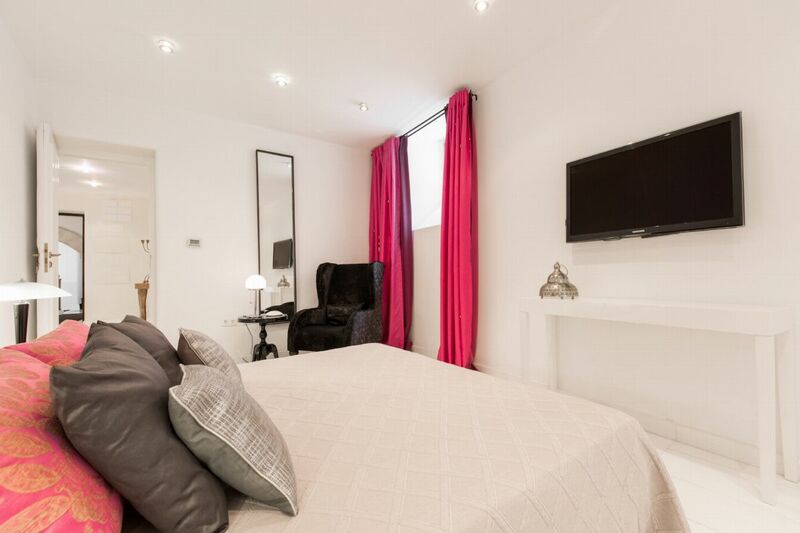 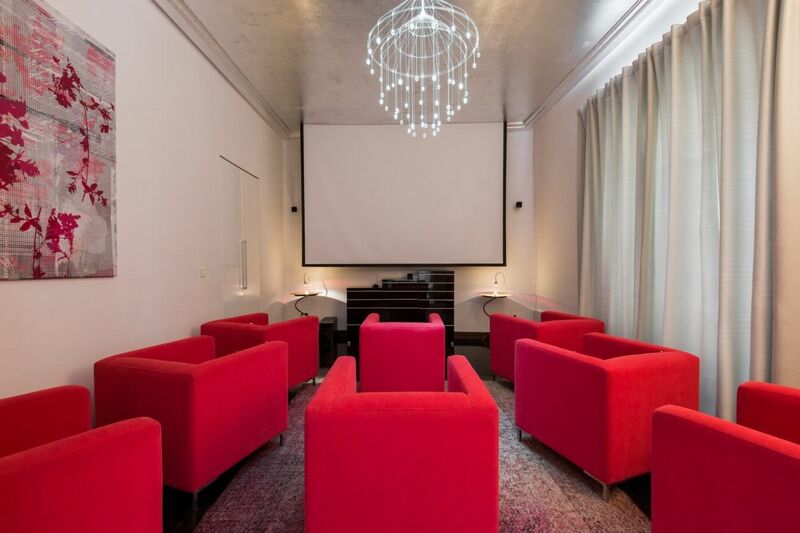 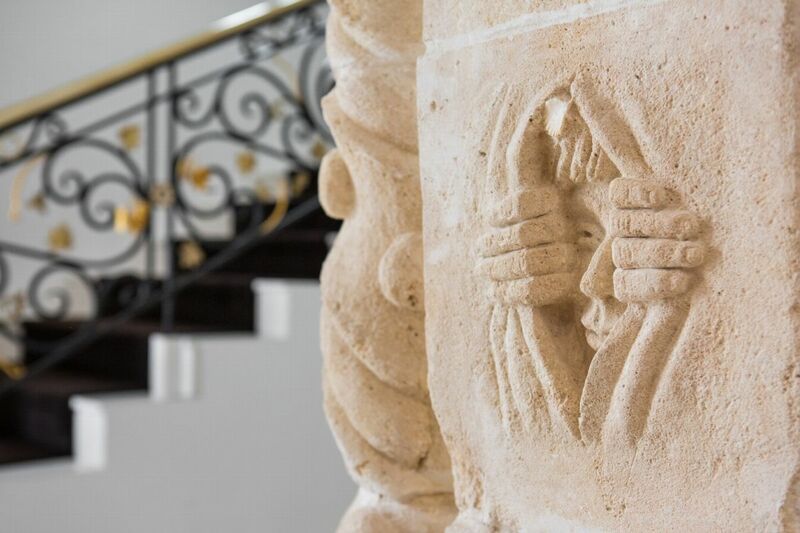 In the main house you will find two separate living areas, a home cinema, two dining areas and two kitchens, thus offering independence for everybody. 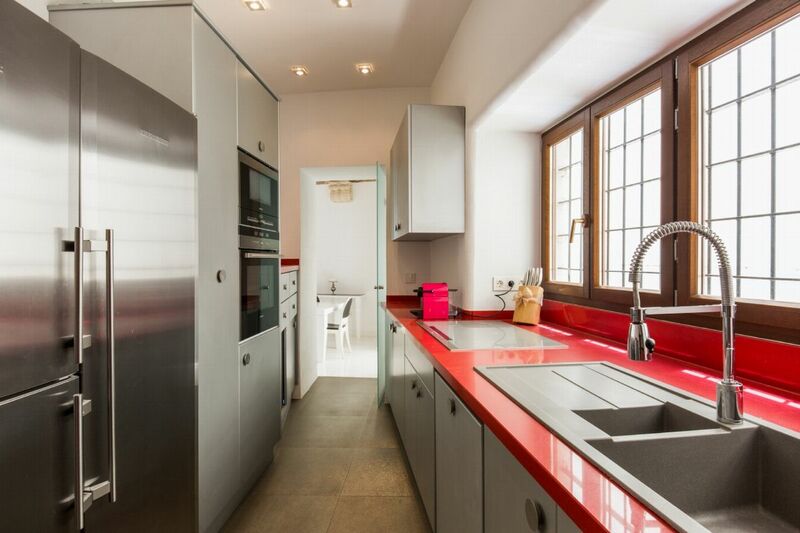 One of the dining rooms has views to the cathedral and one of the kitchens has a storage room and pantry room. 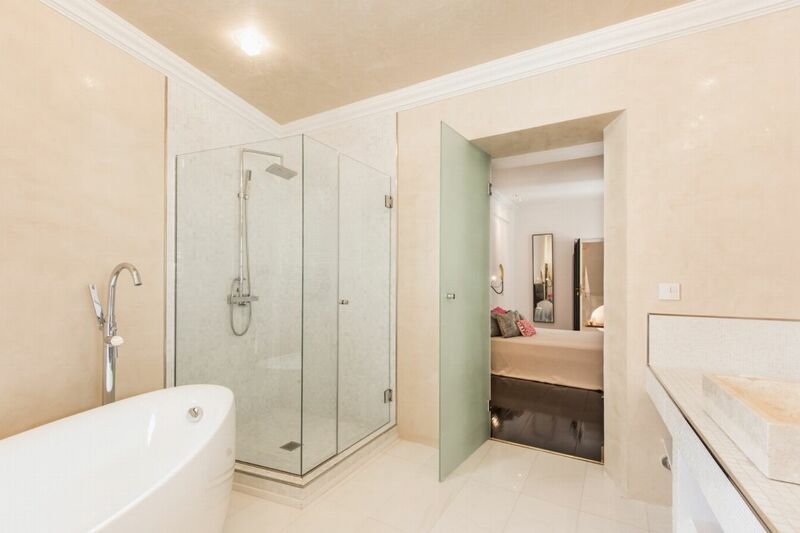 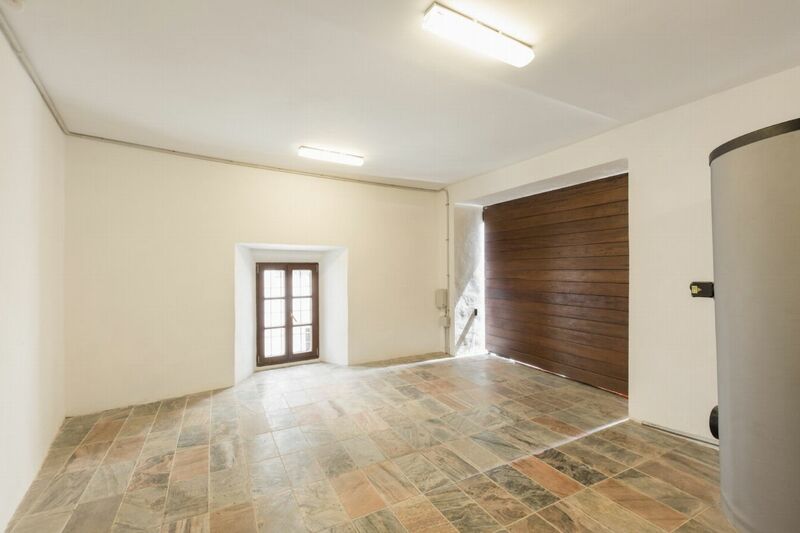 The property also boasts a secure 2 car garage.